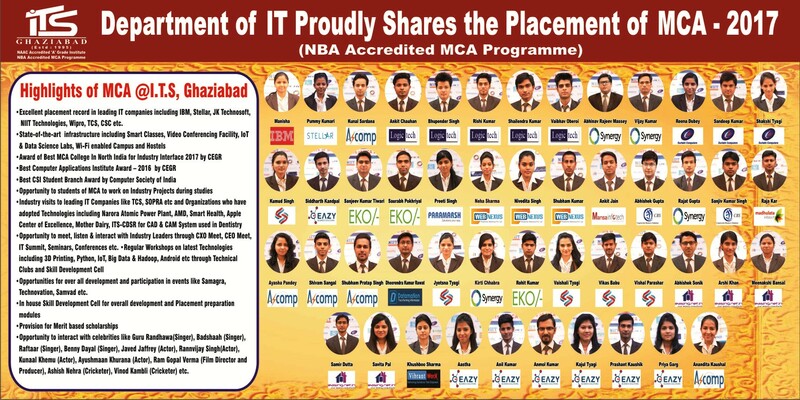 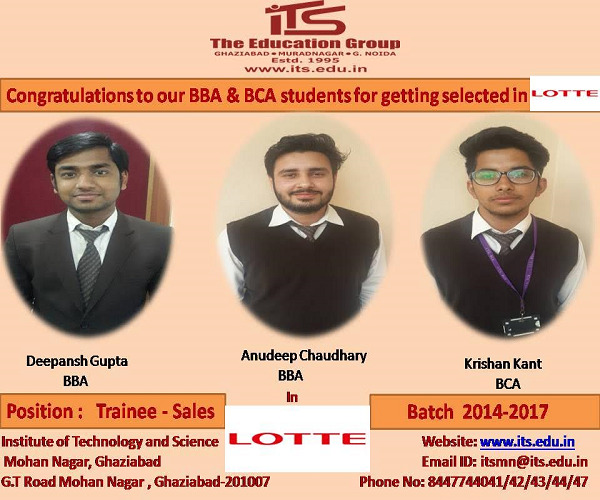 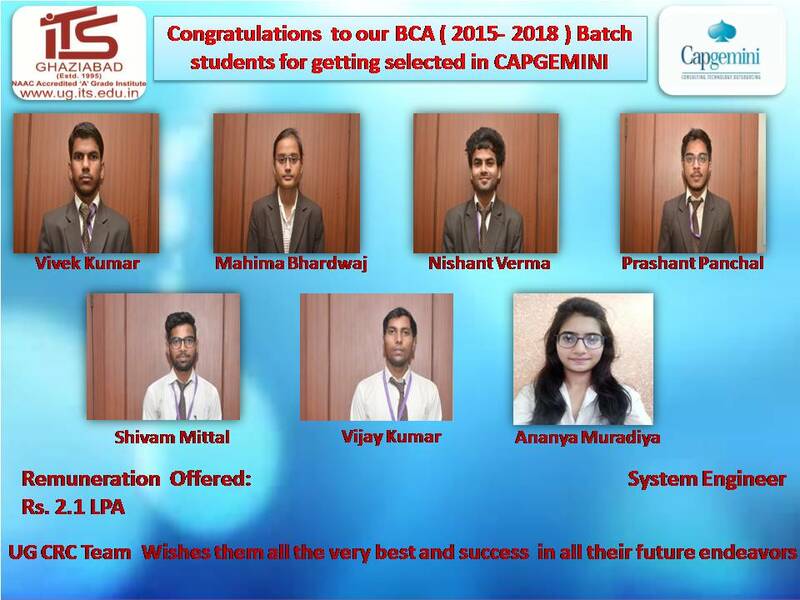 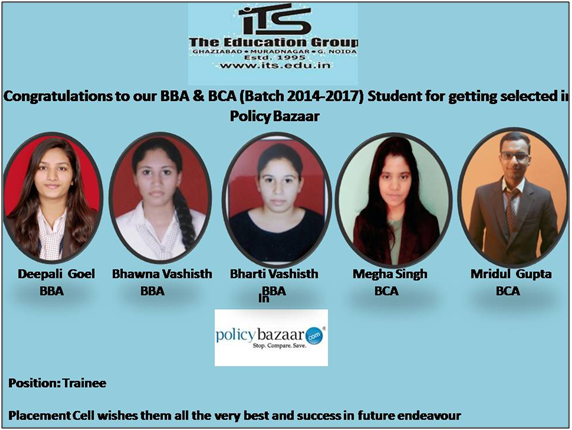 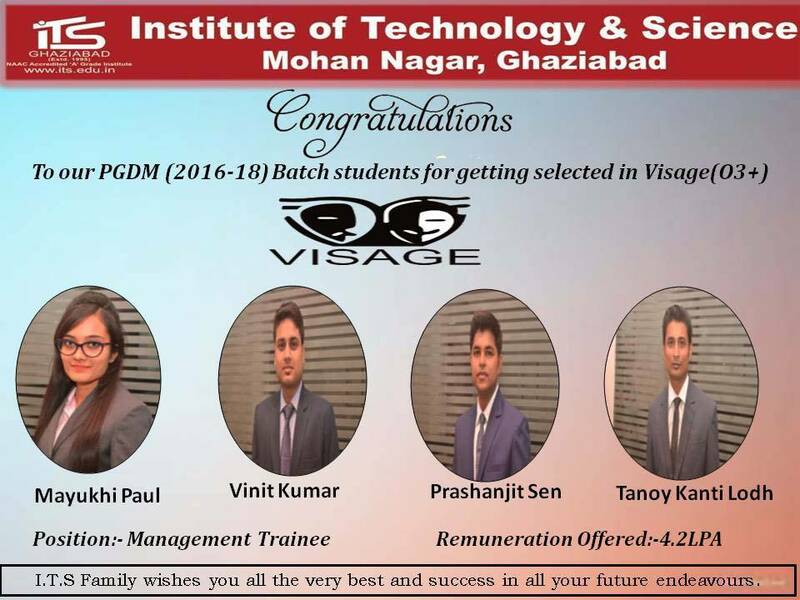 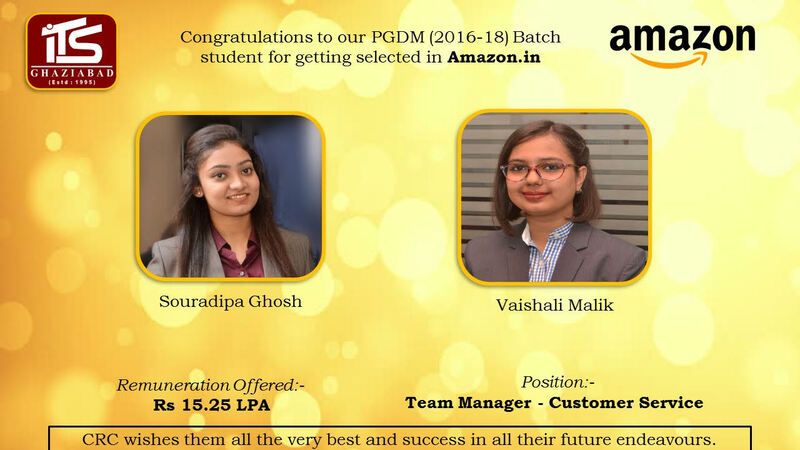 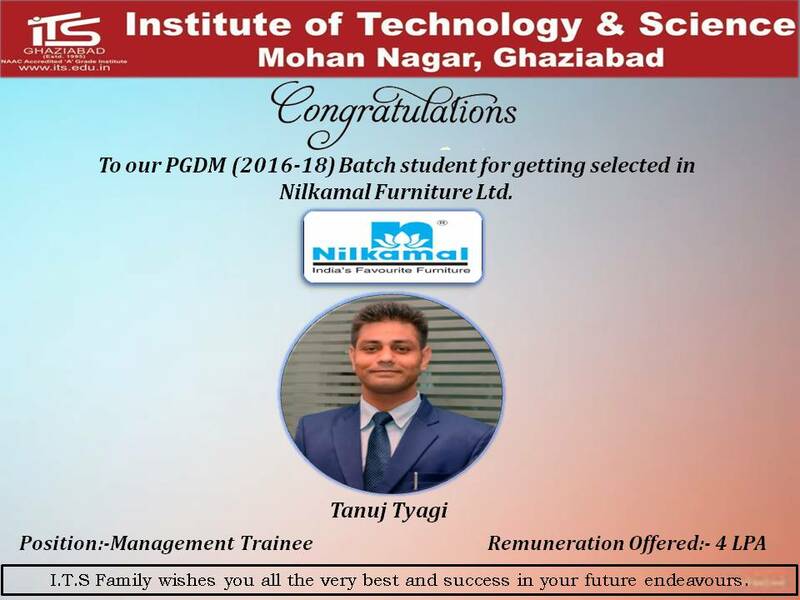 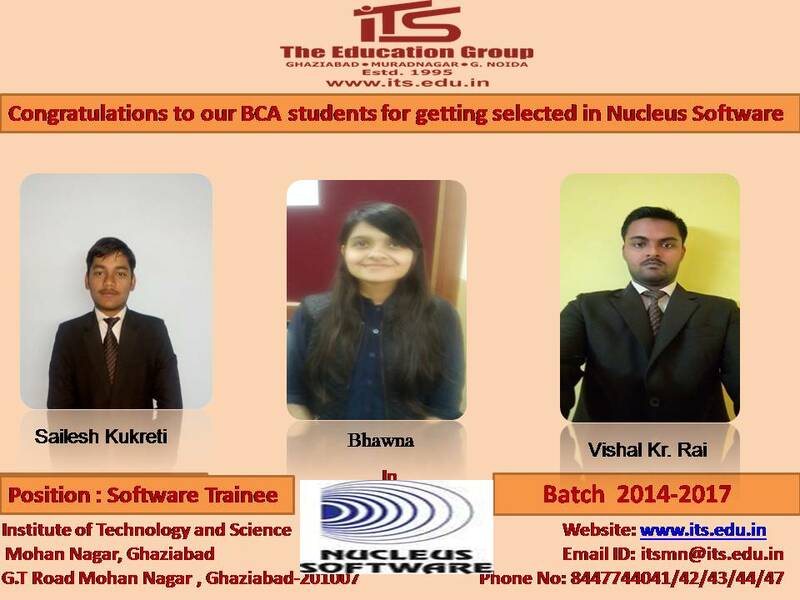 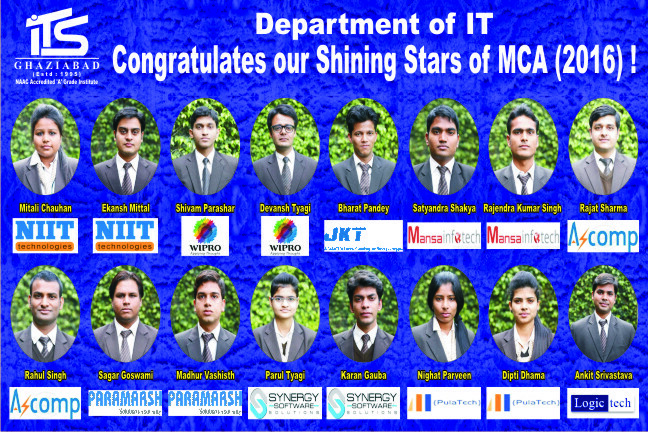 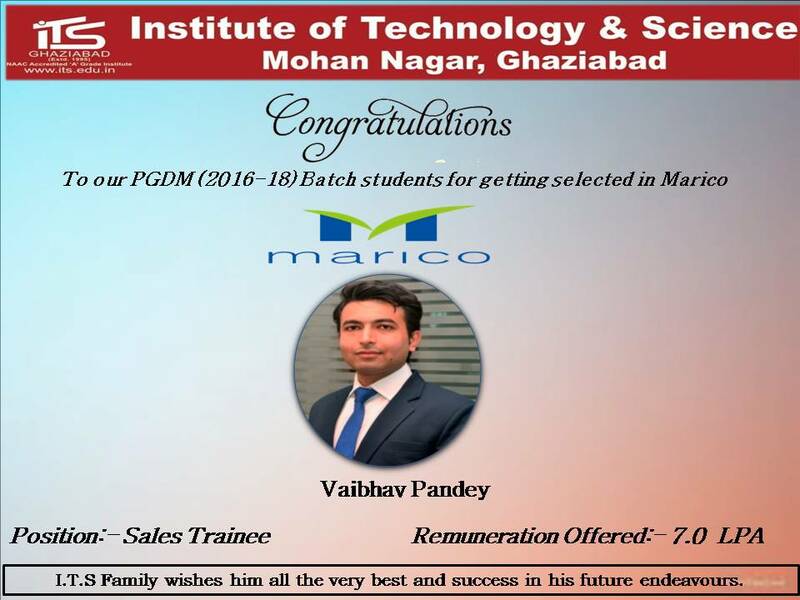 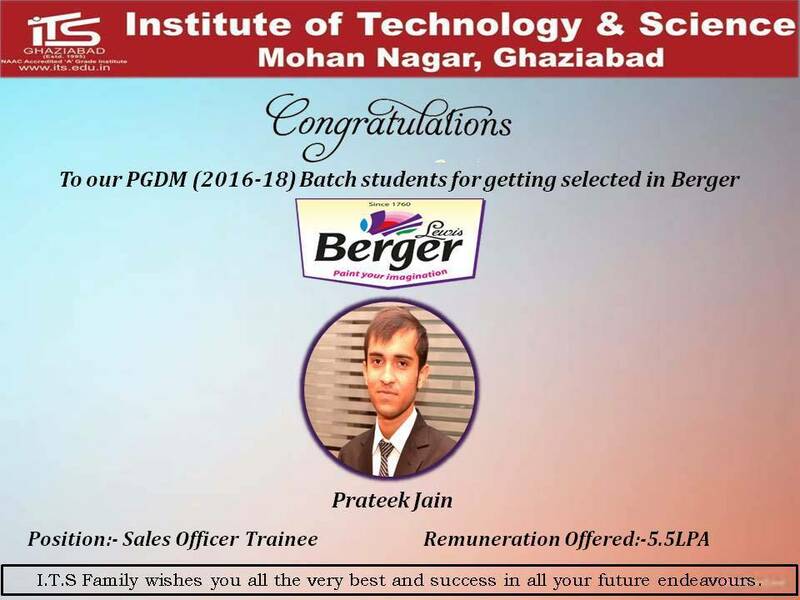 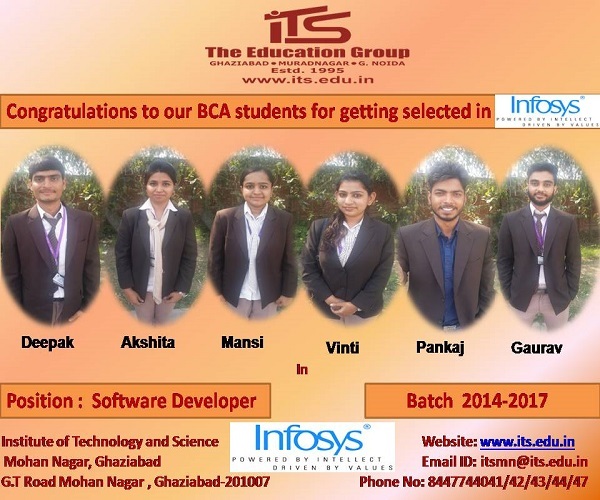 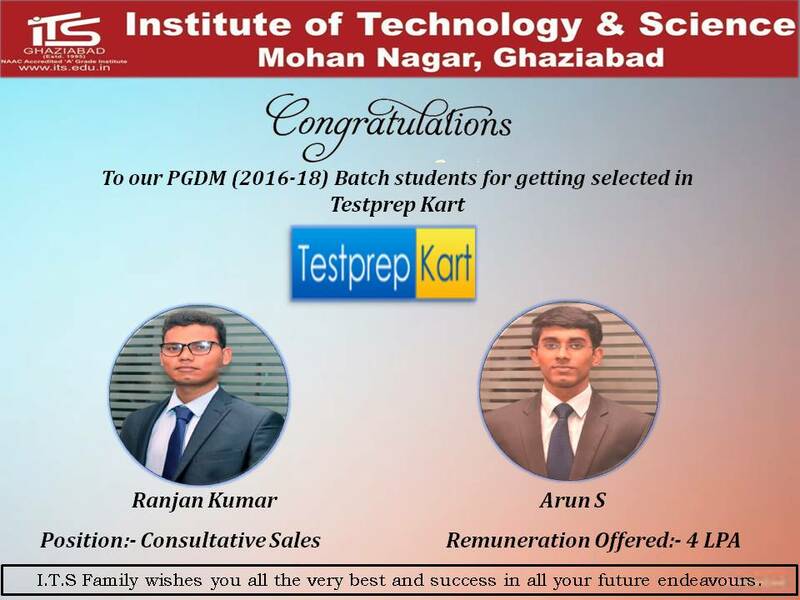 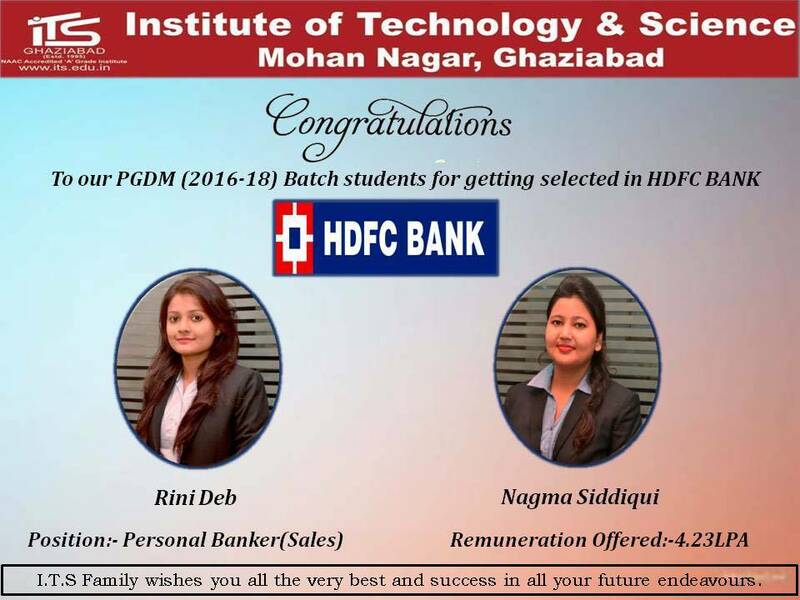 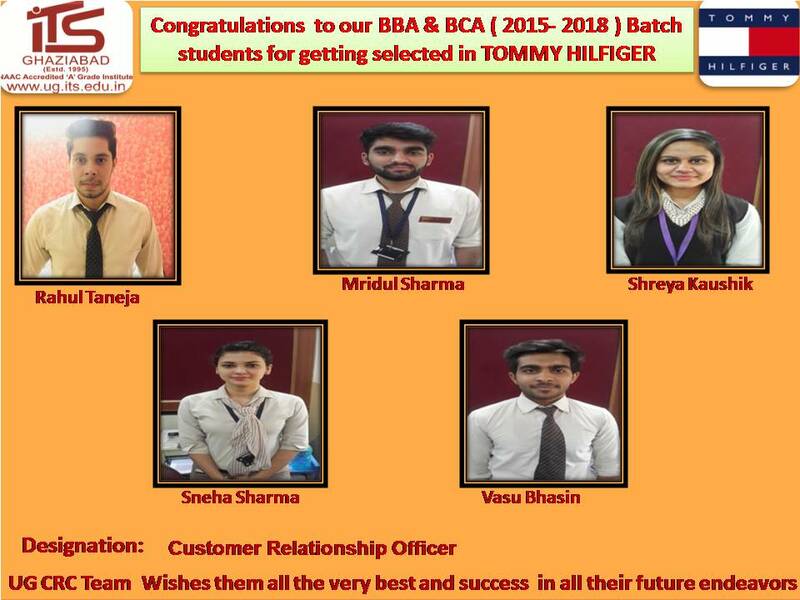 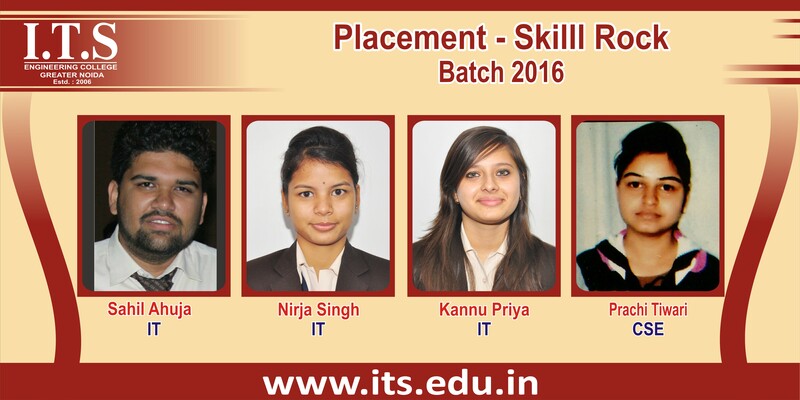 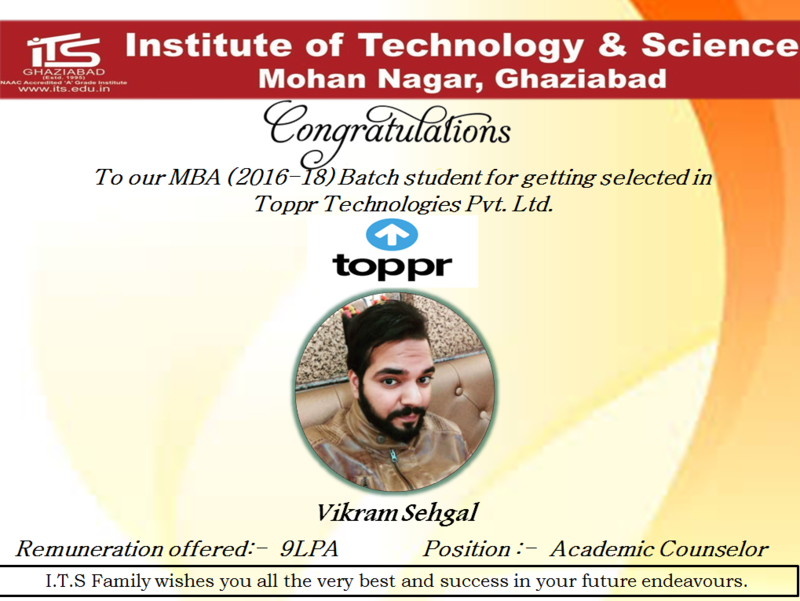 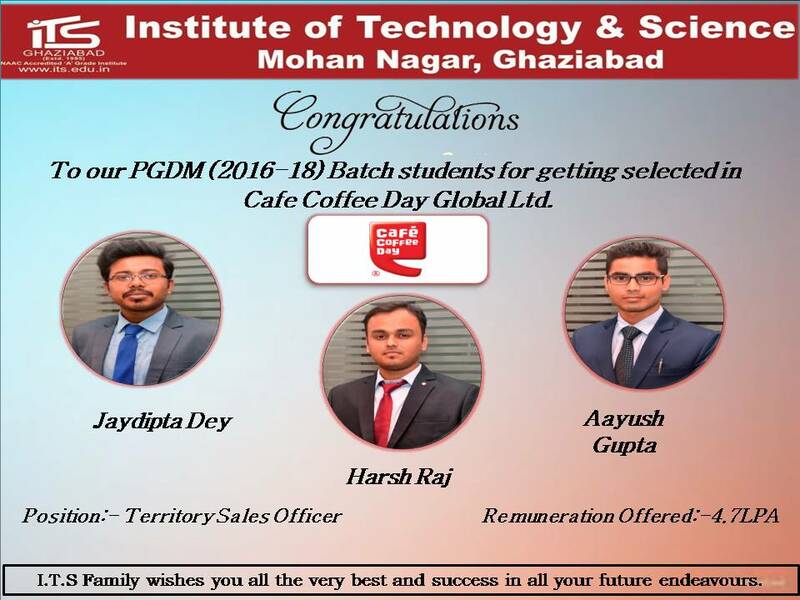 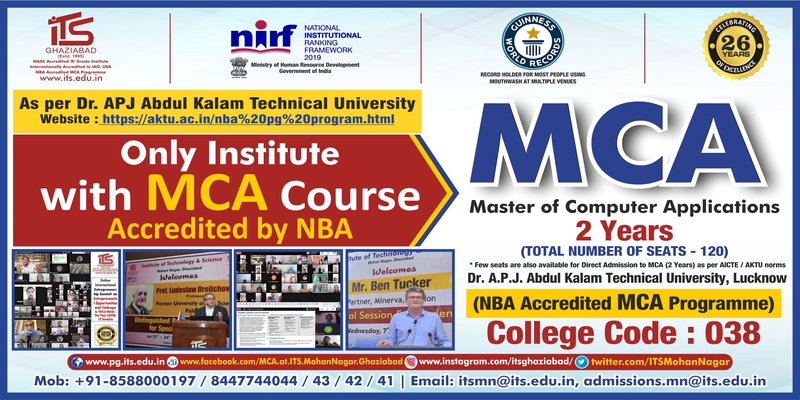 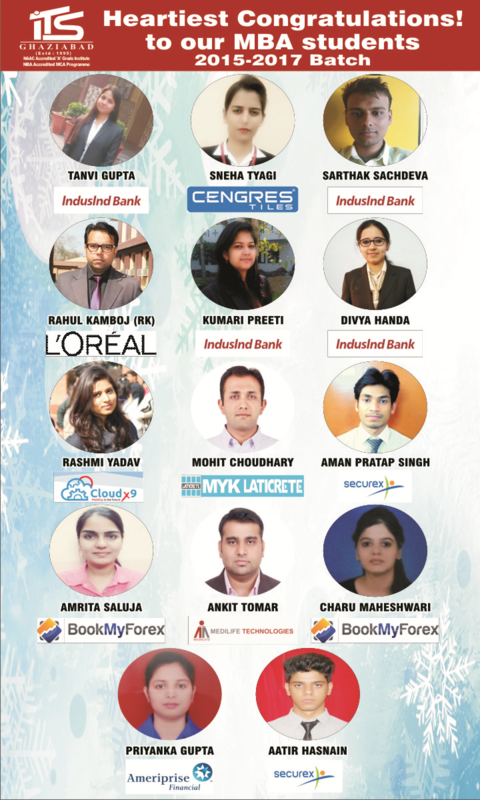 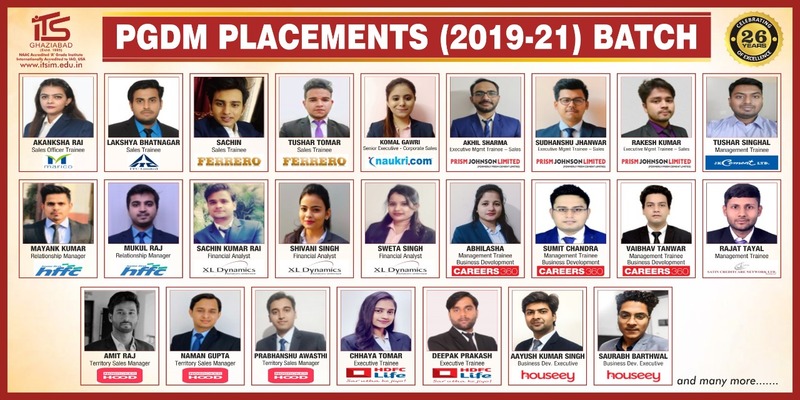 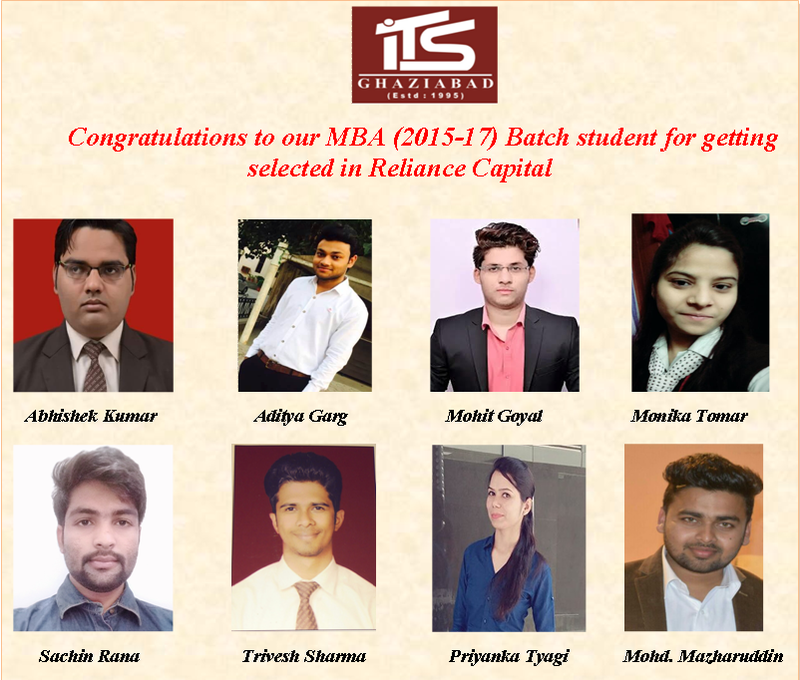 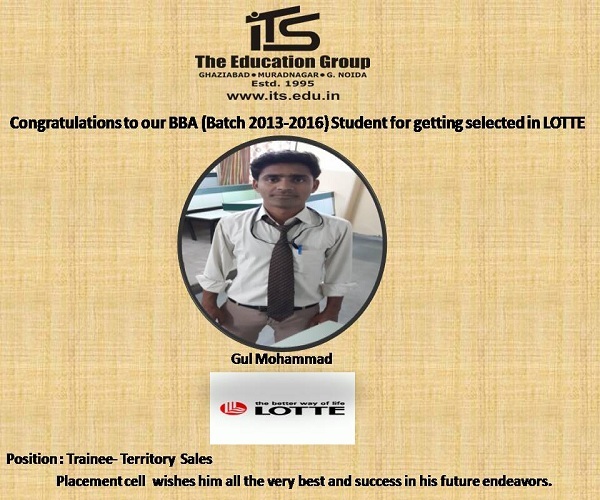 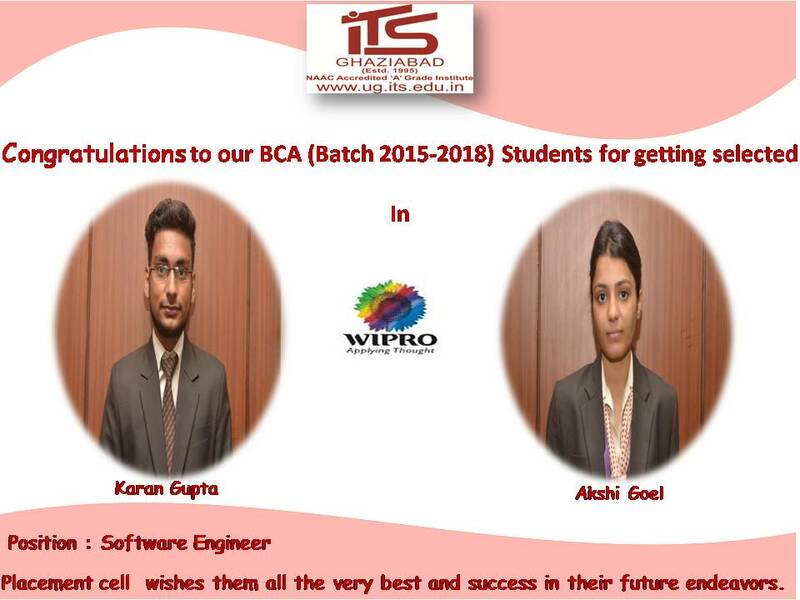 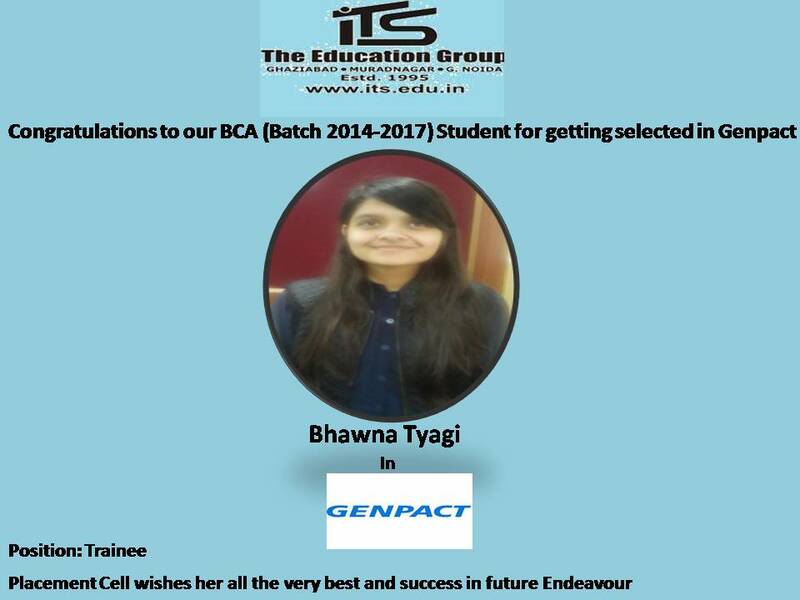 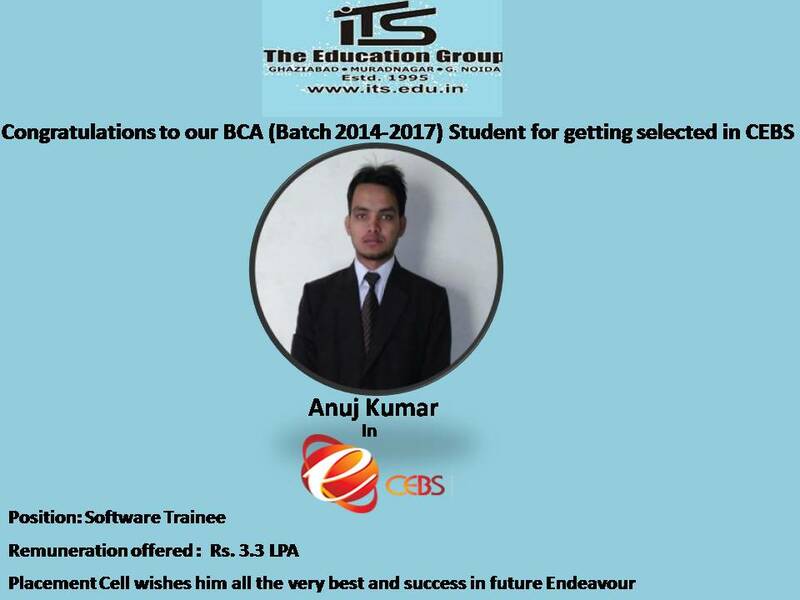 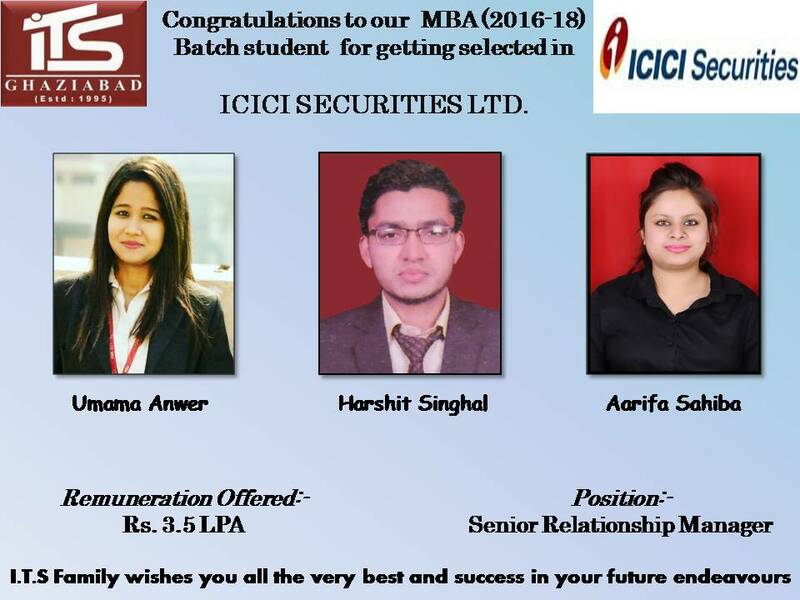 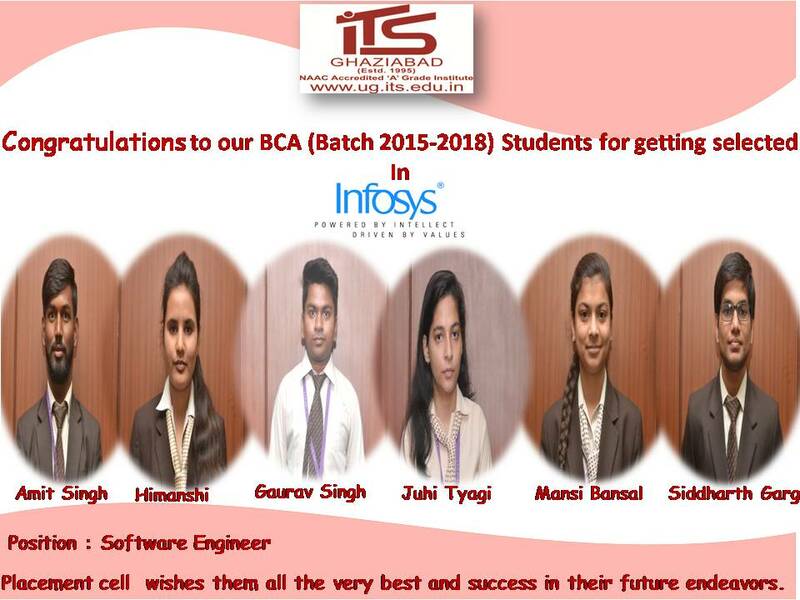 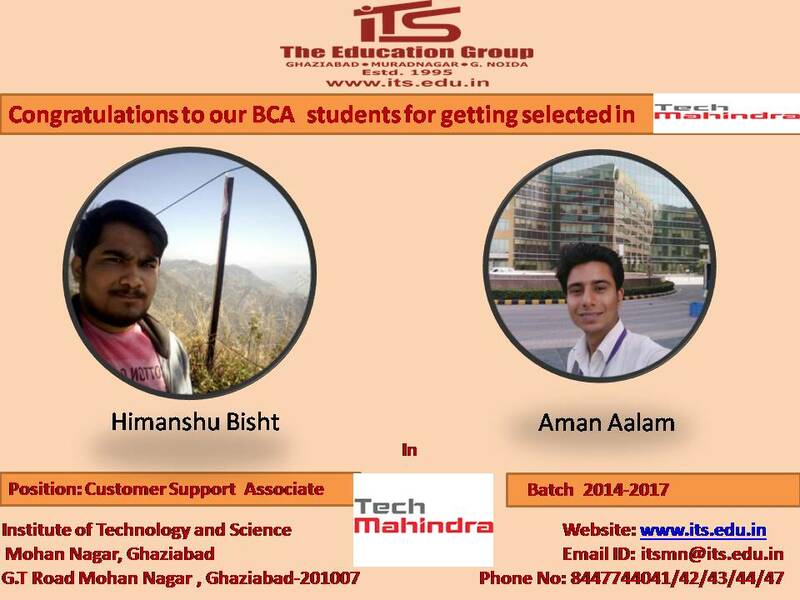 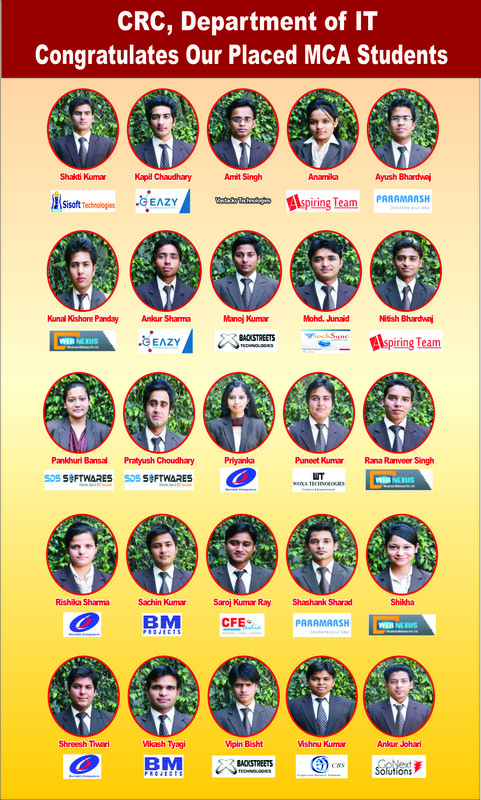 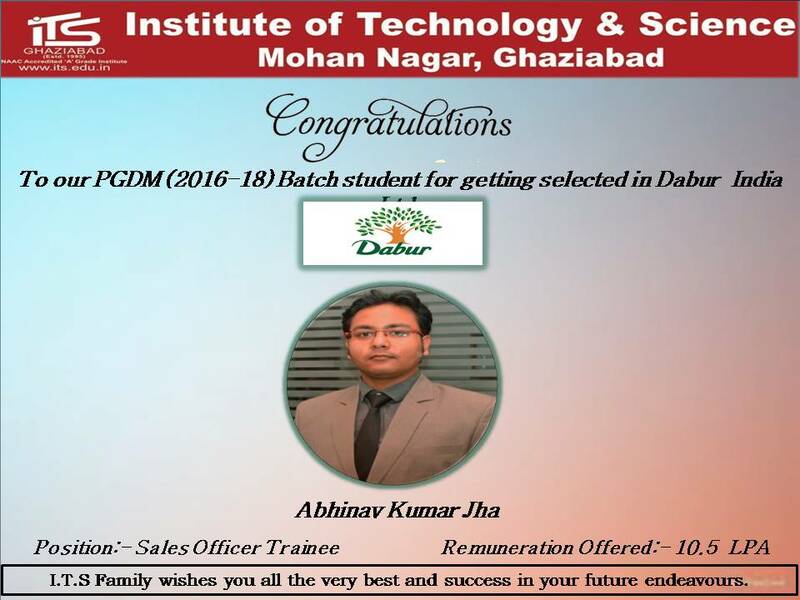 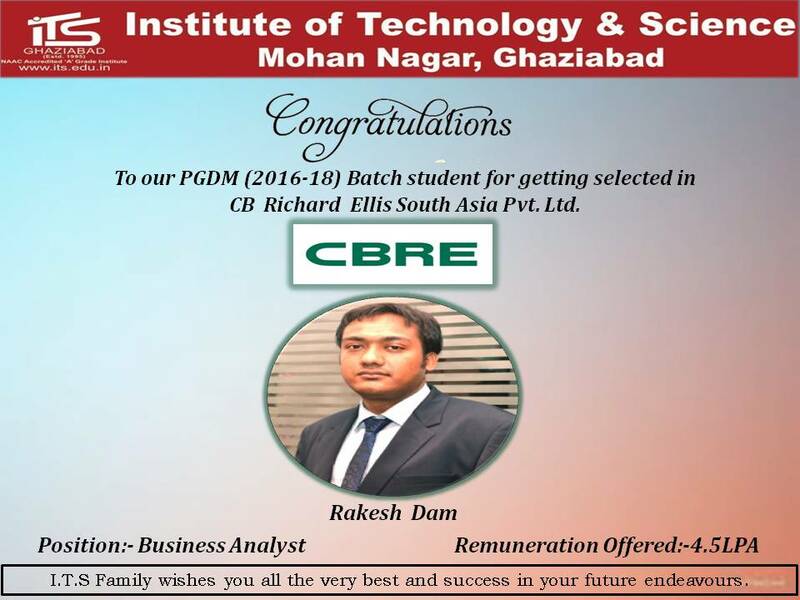 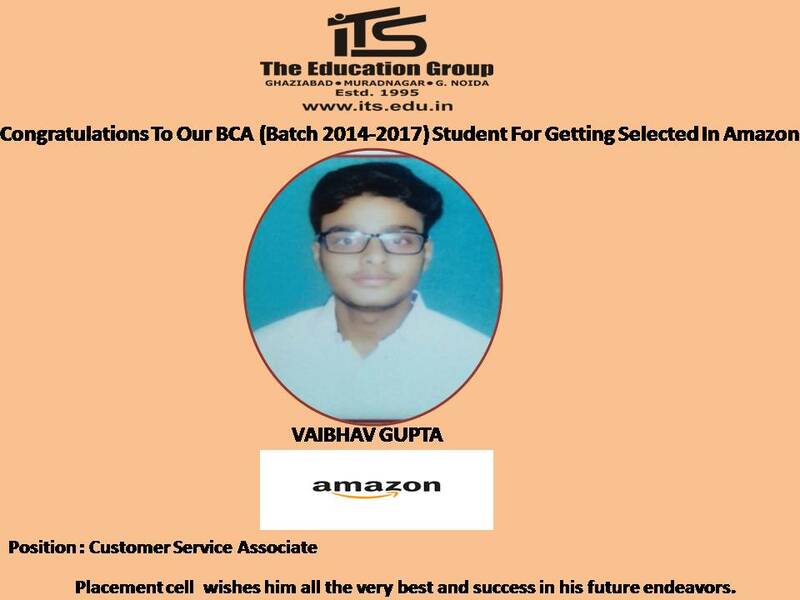 Congratulation to Placed Students of MCA-2017!! 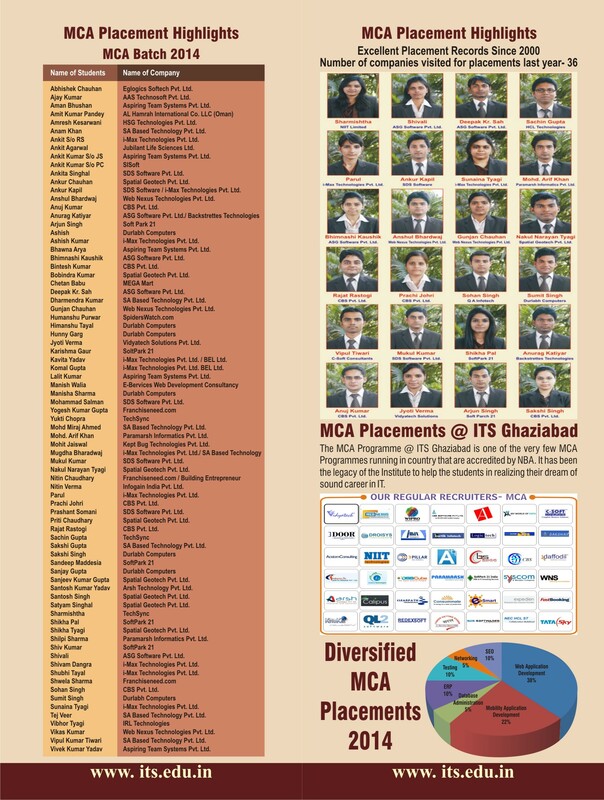 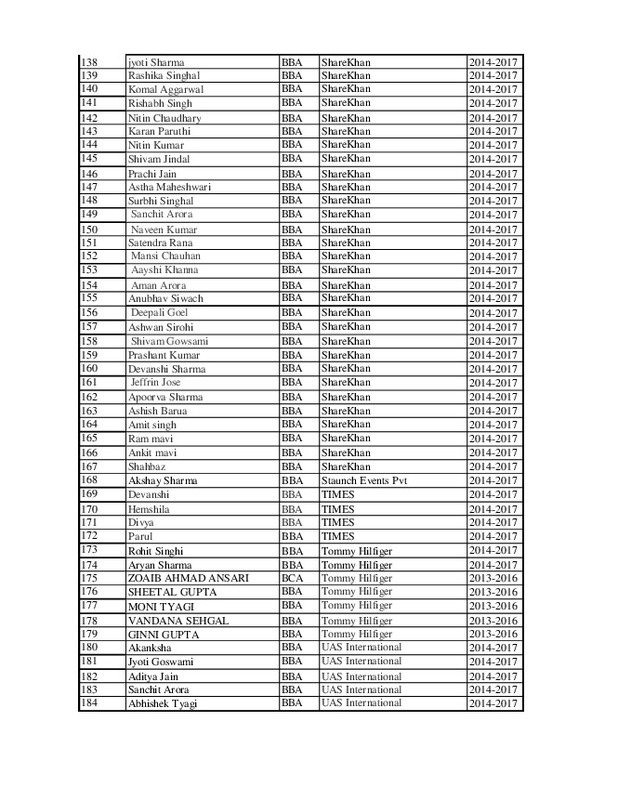 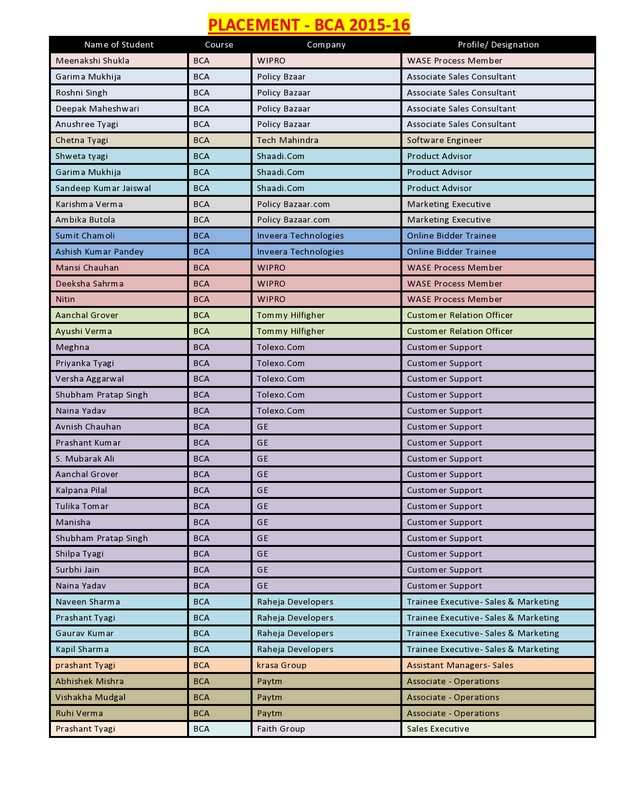 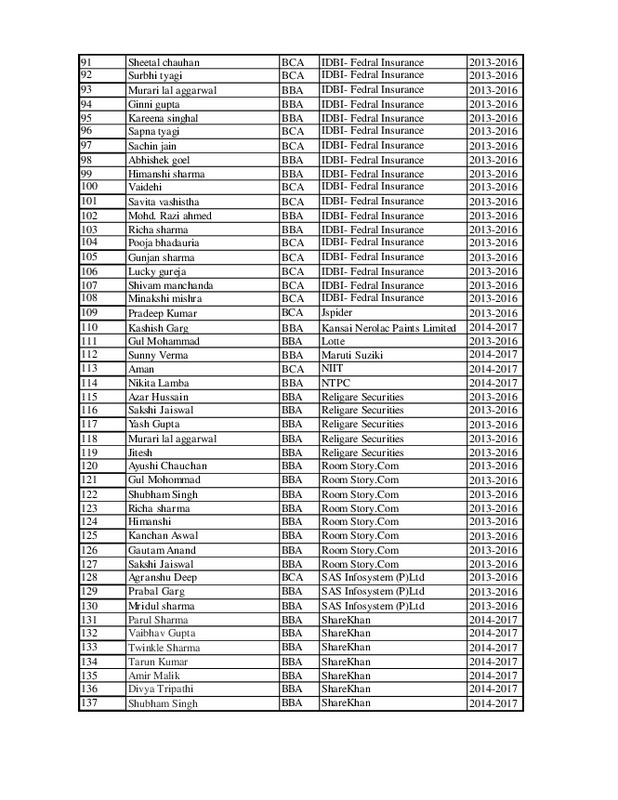 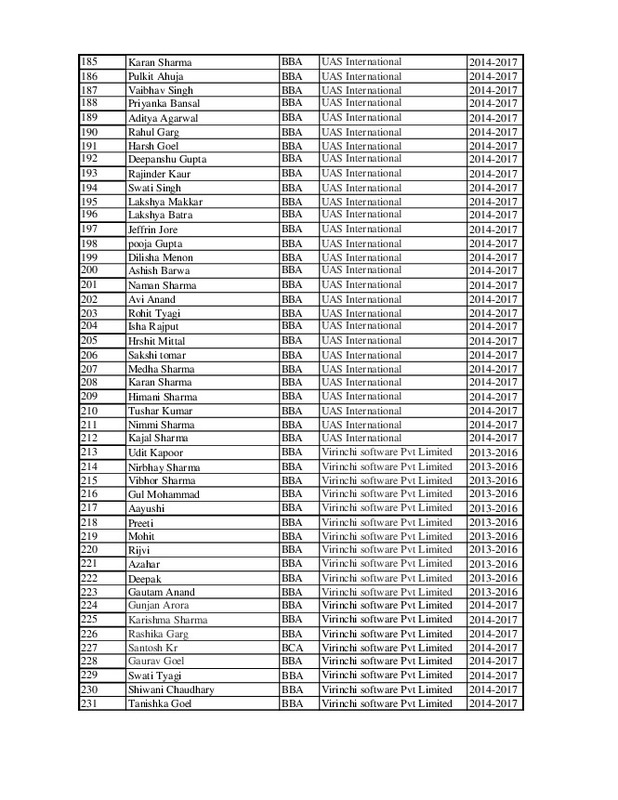 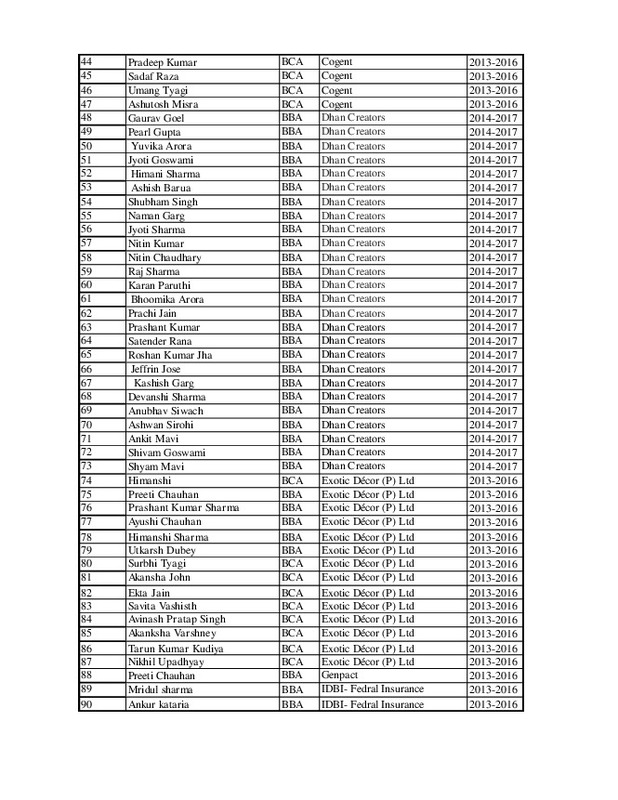 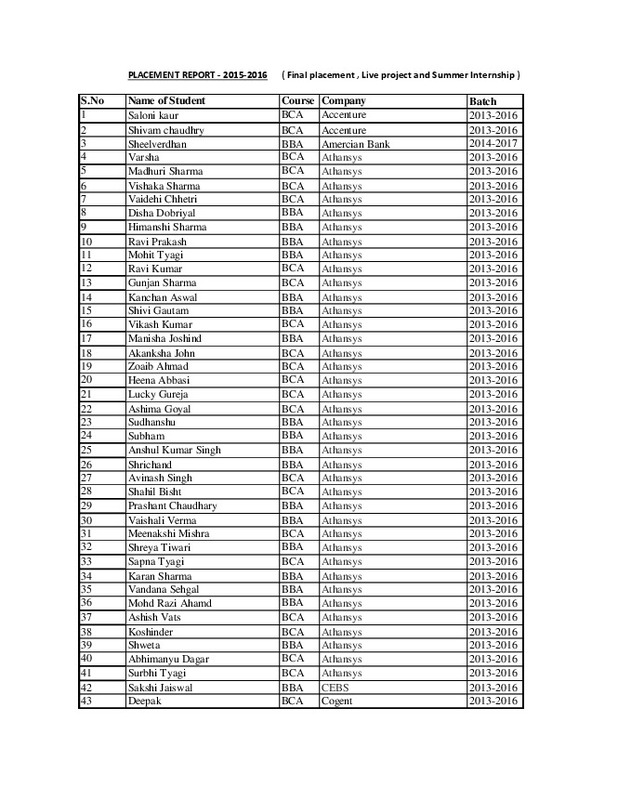 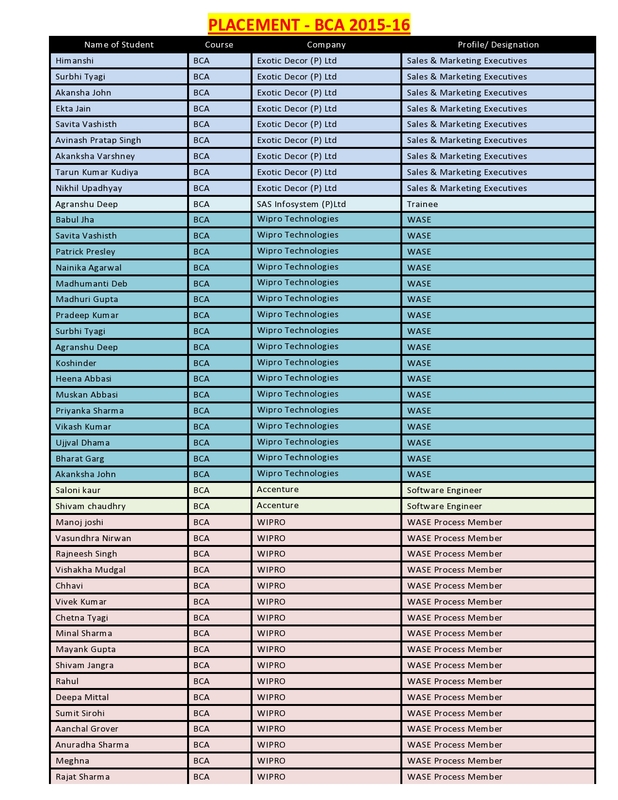 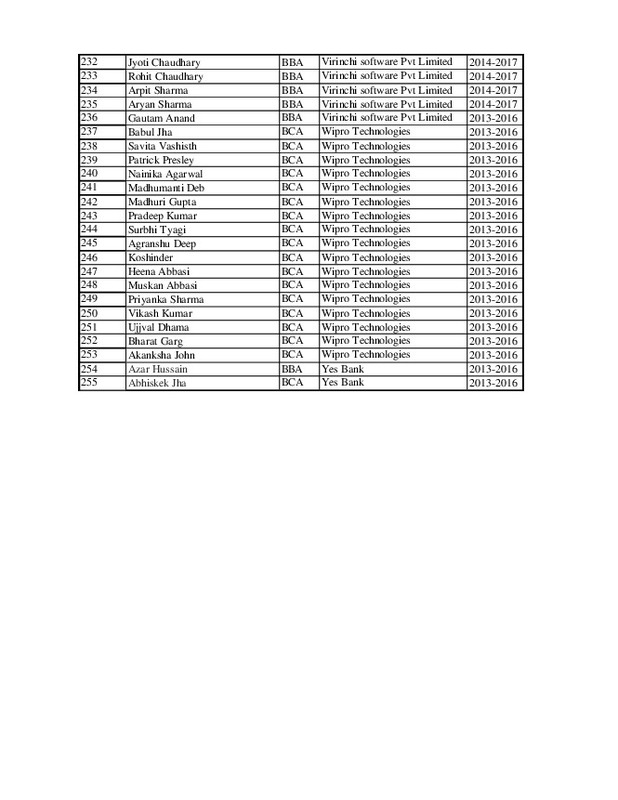 Our all Placed MCA Students. 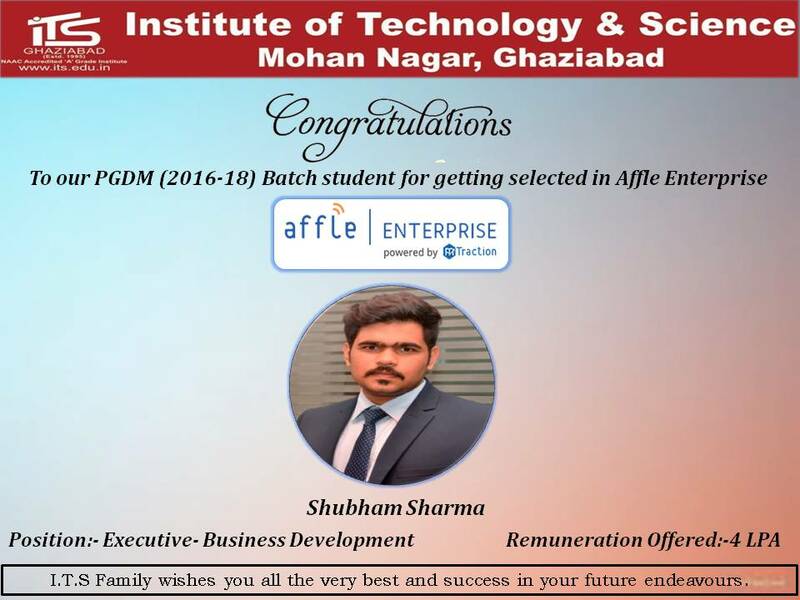 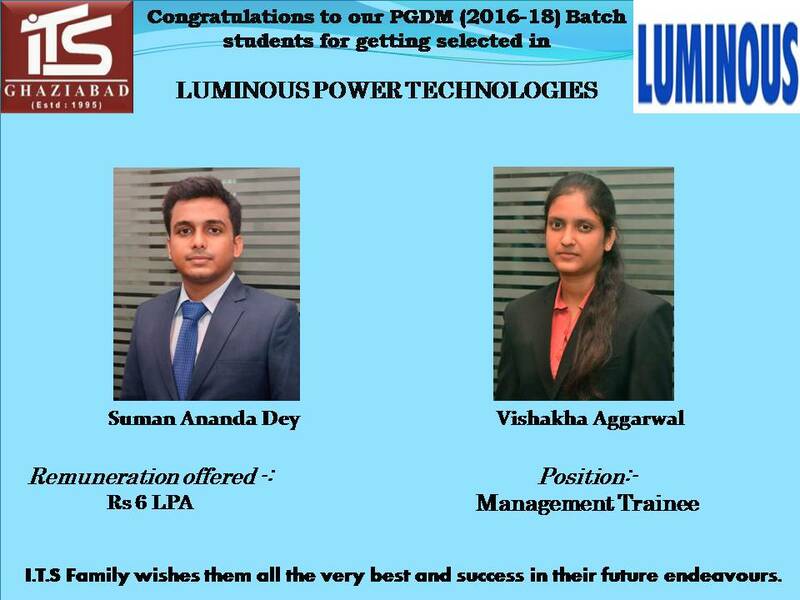 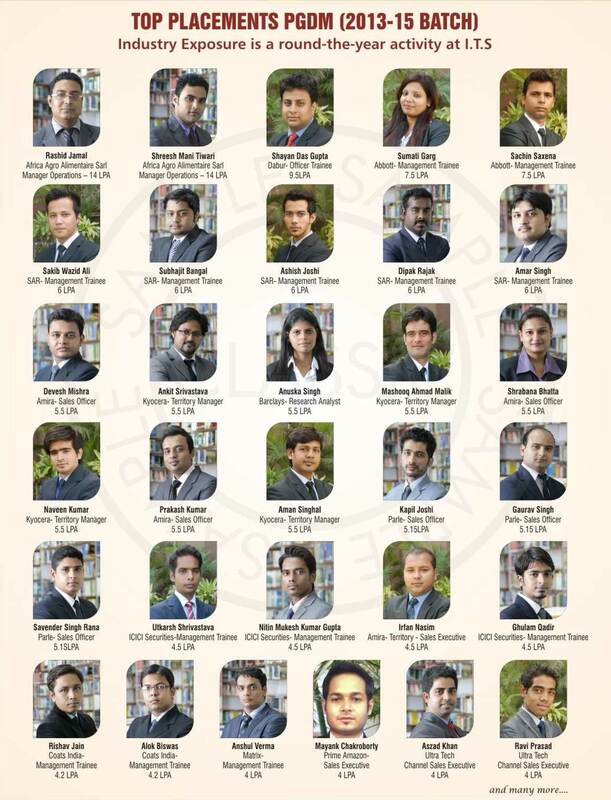 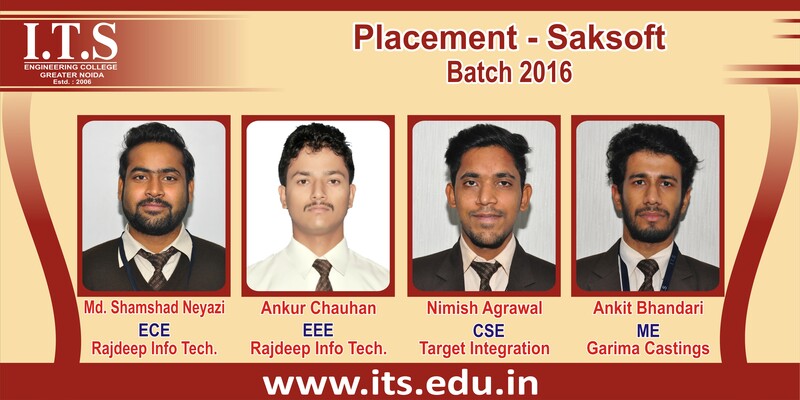 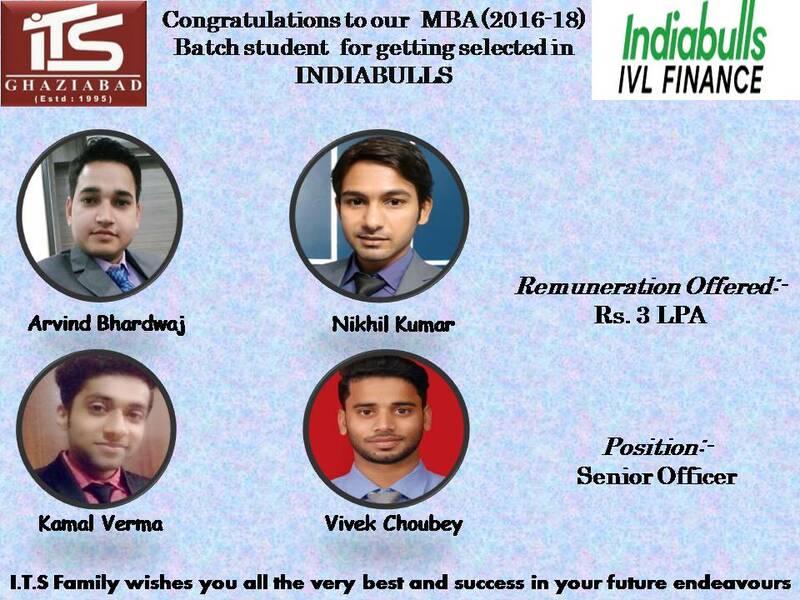 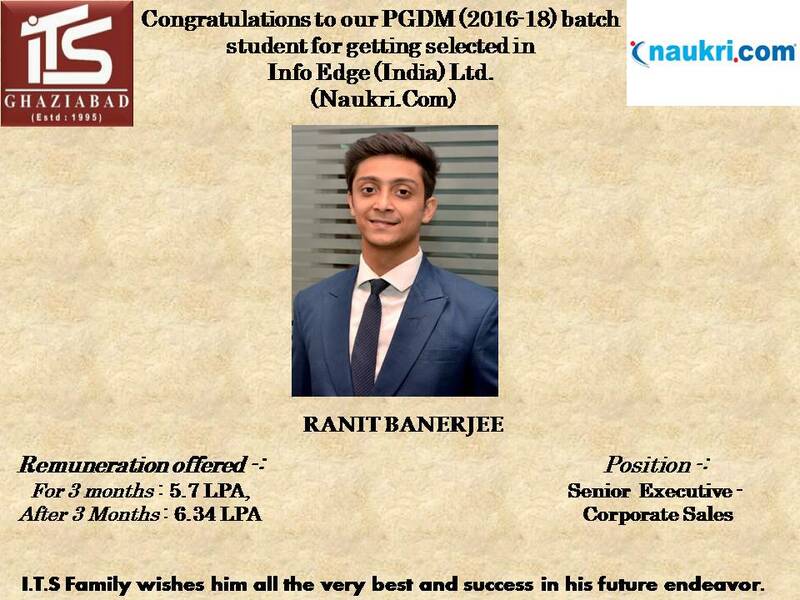 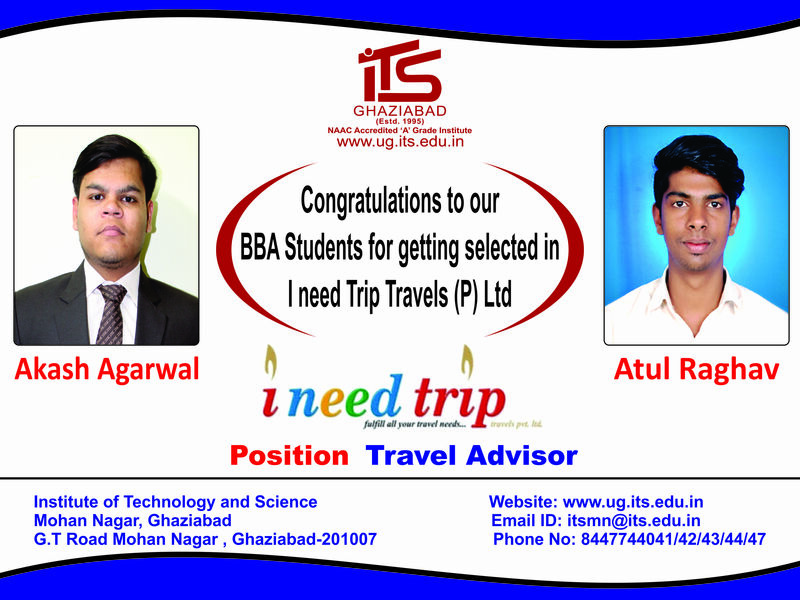 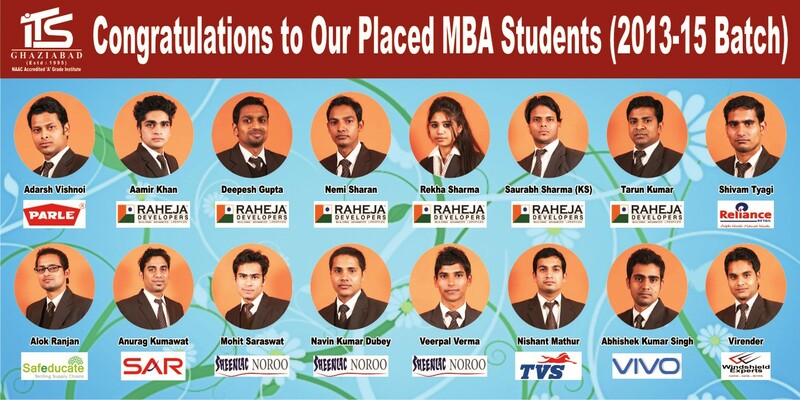 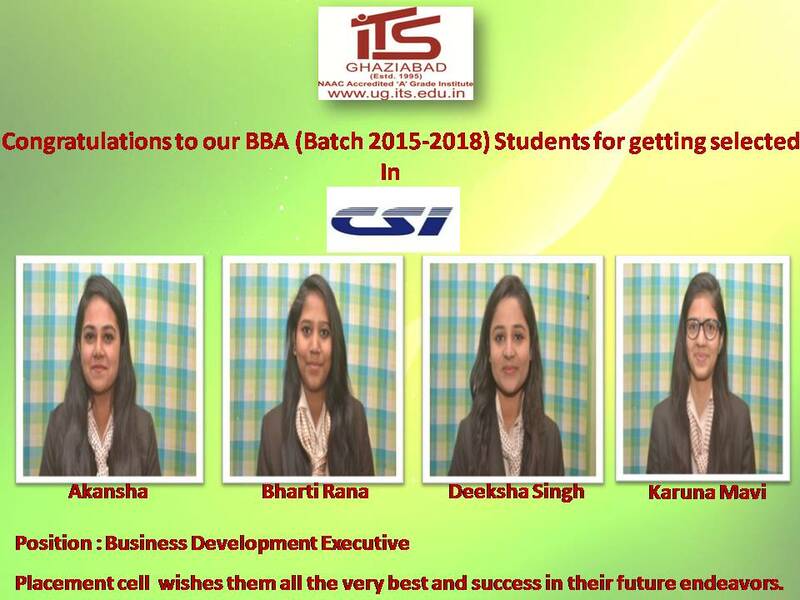 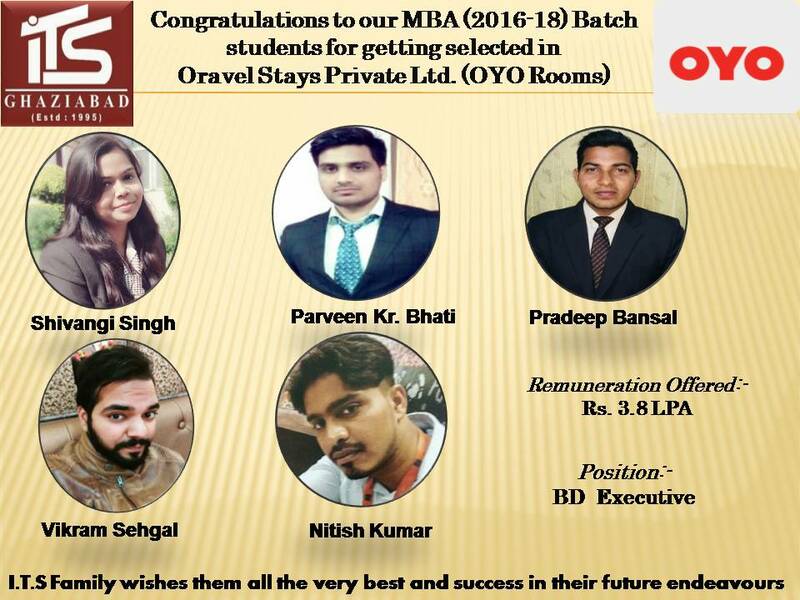 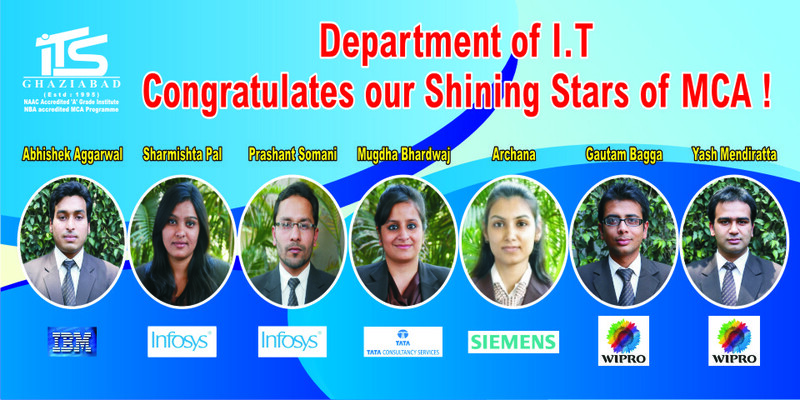 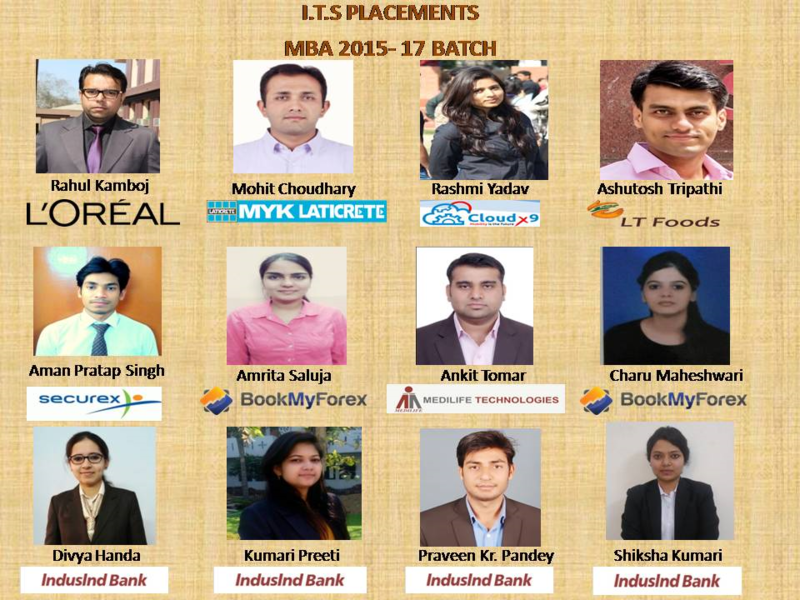 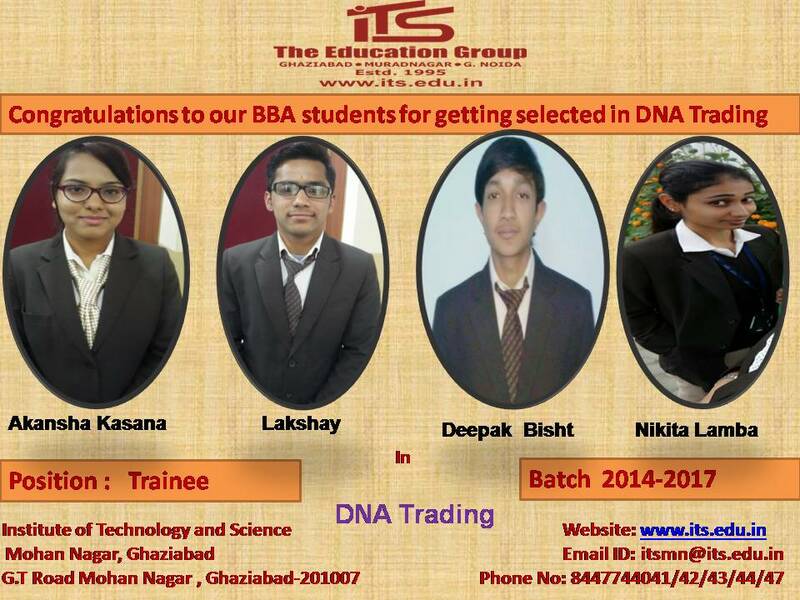 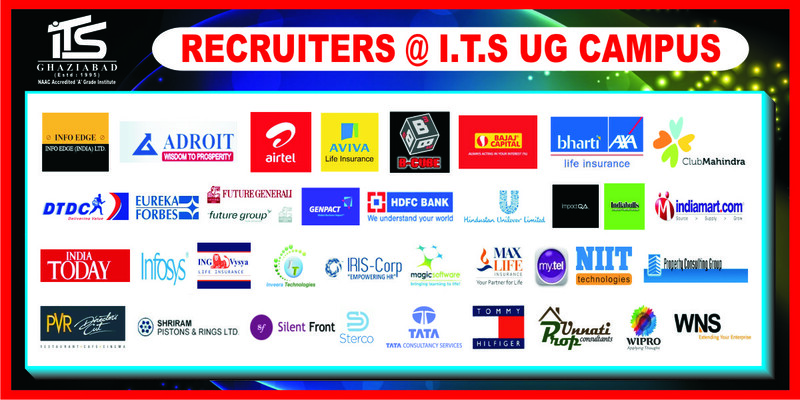 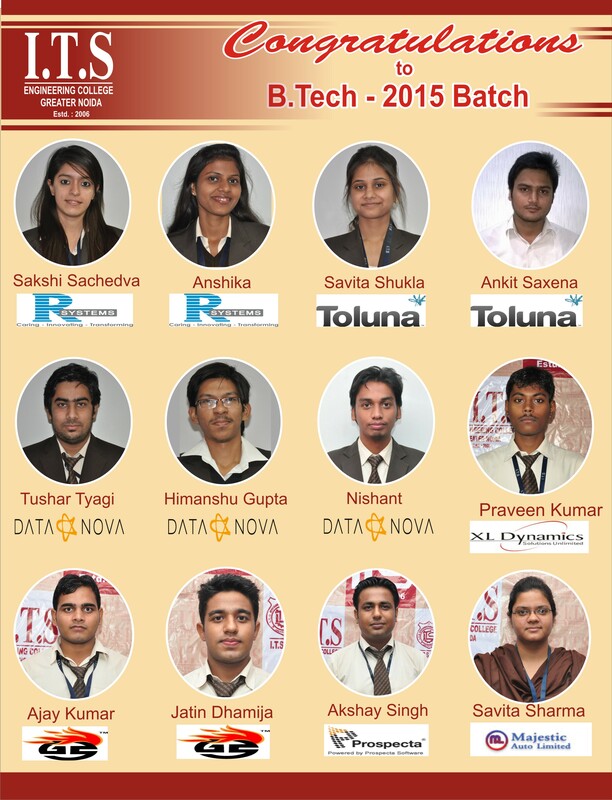 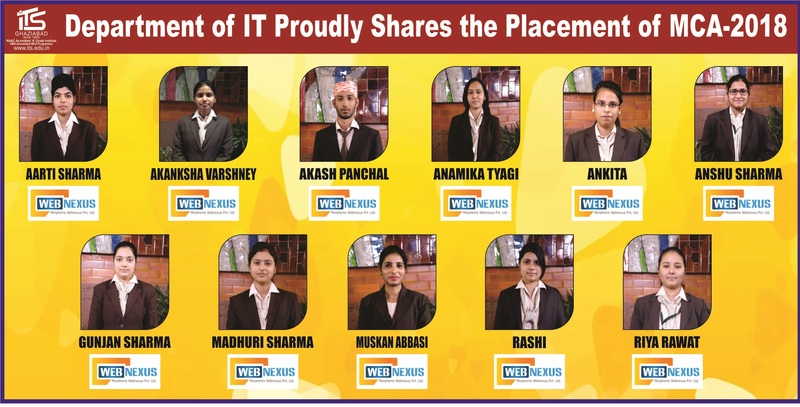 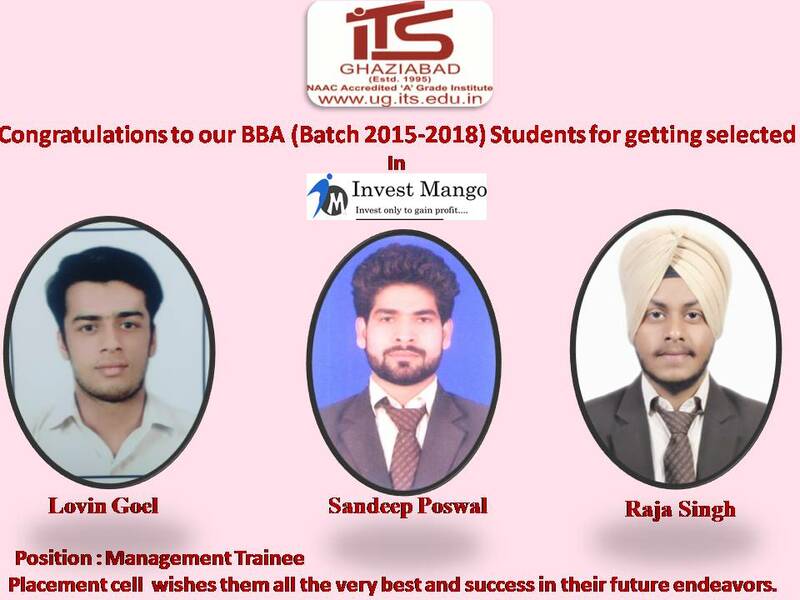 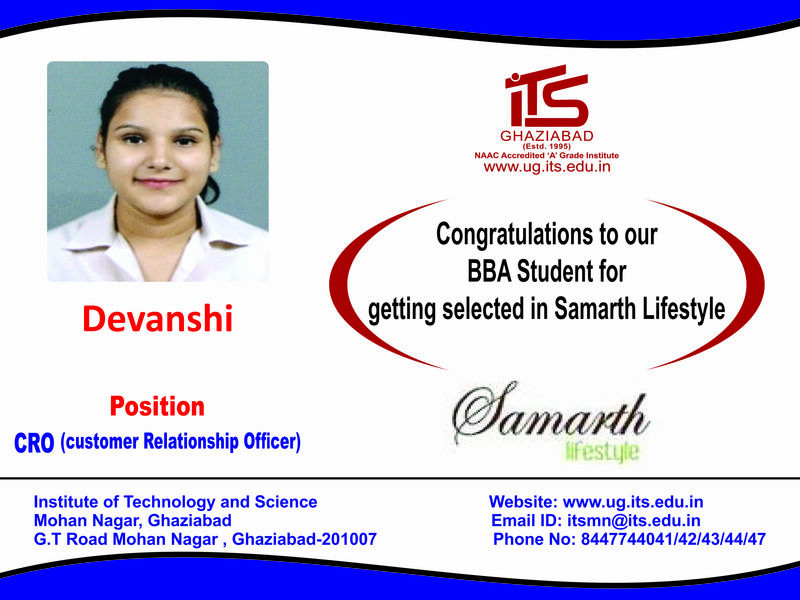 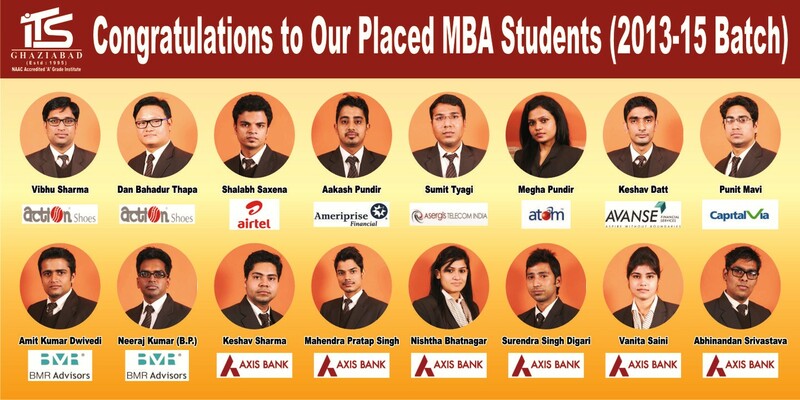 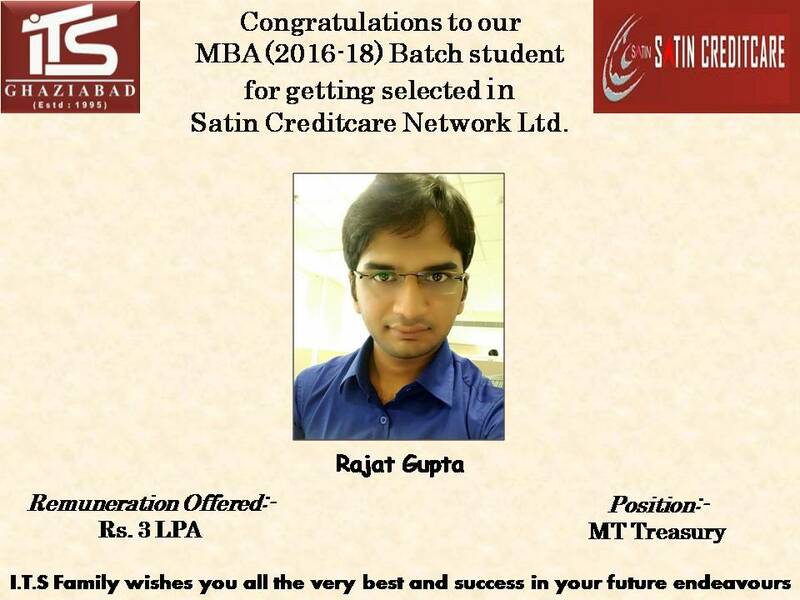 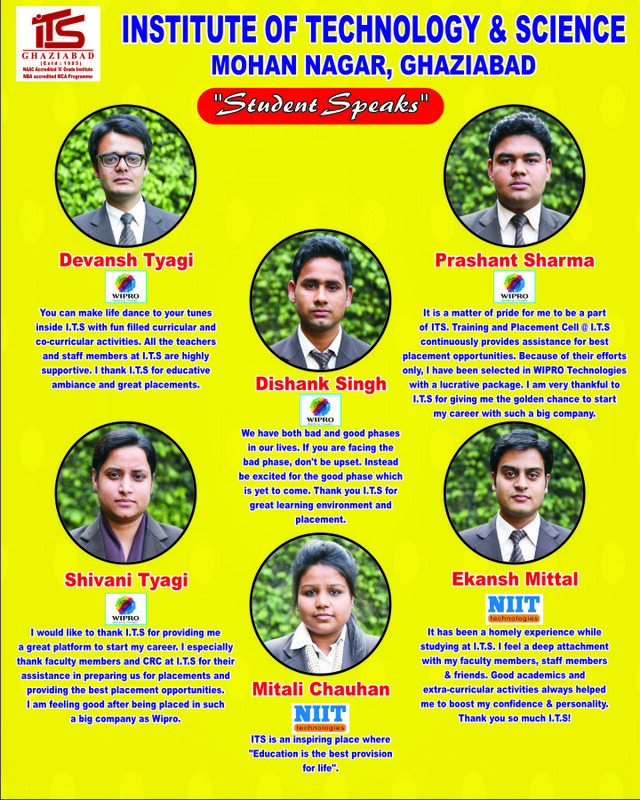 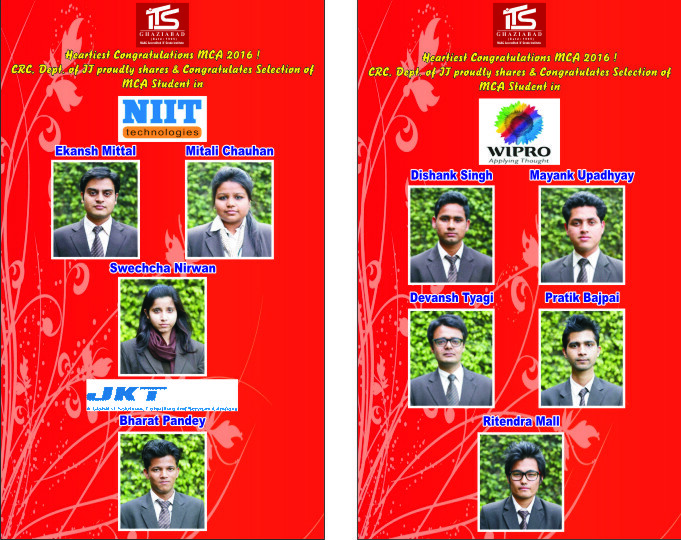 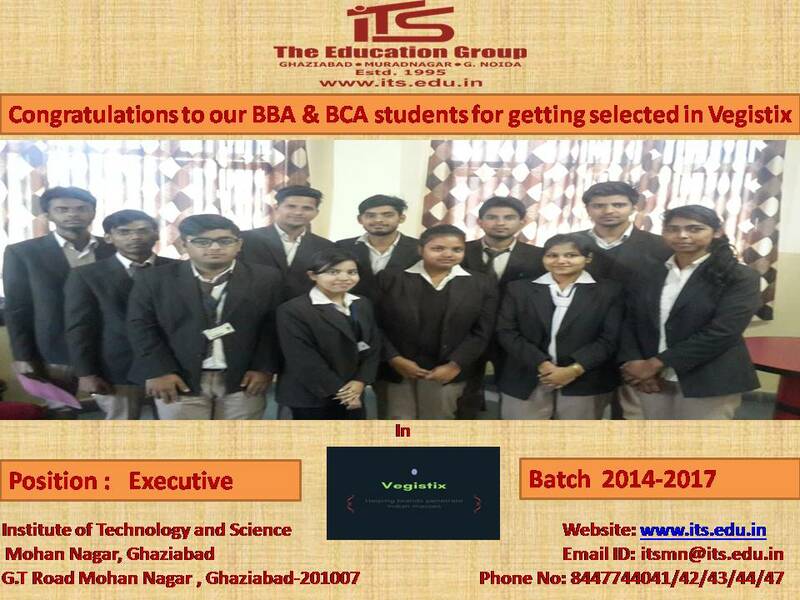 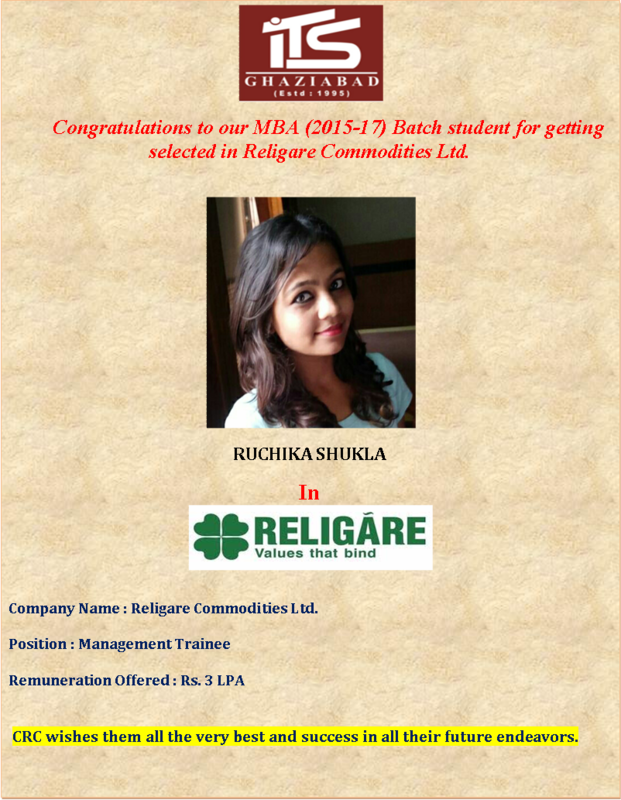 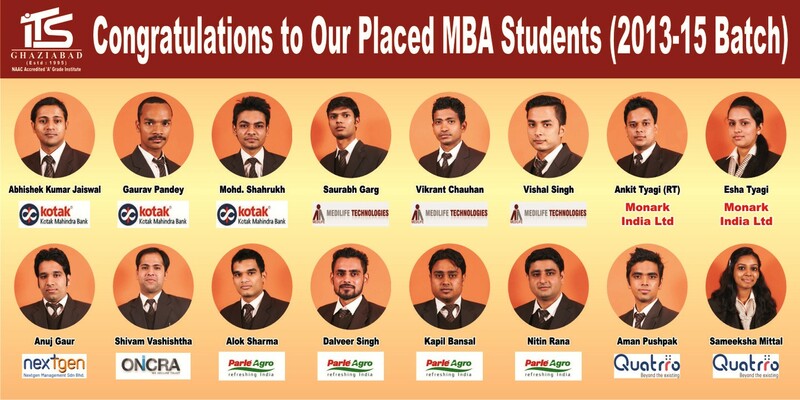 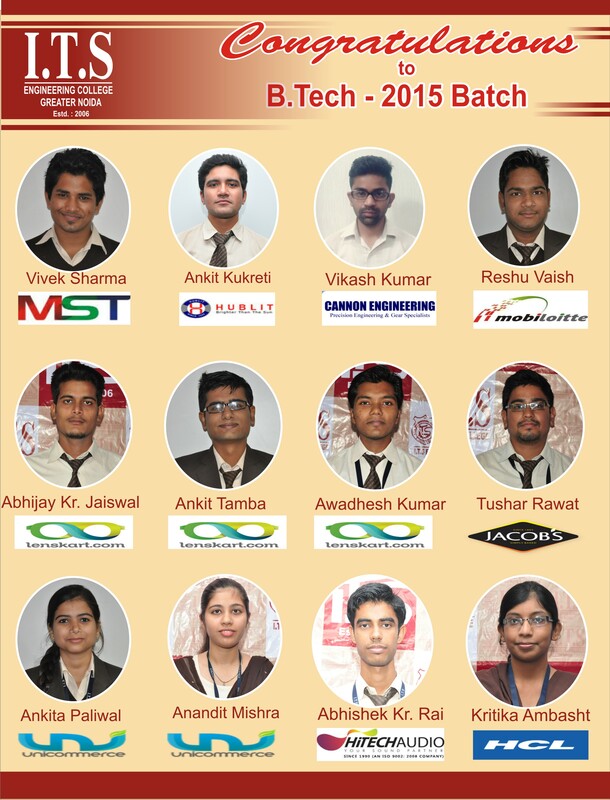 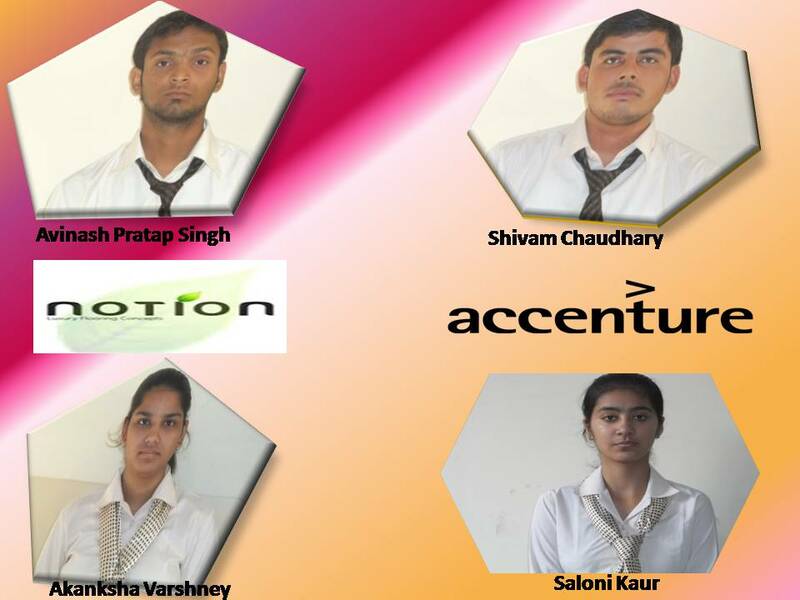 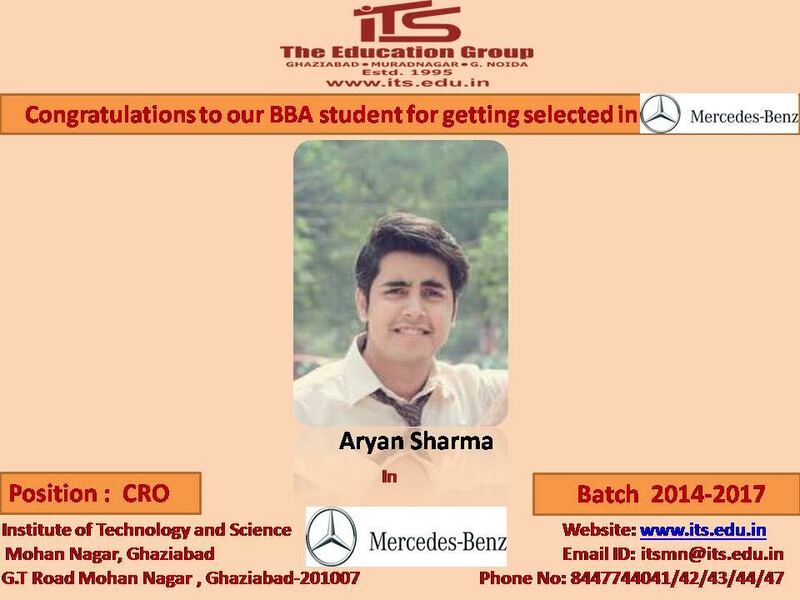 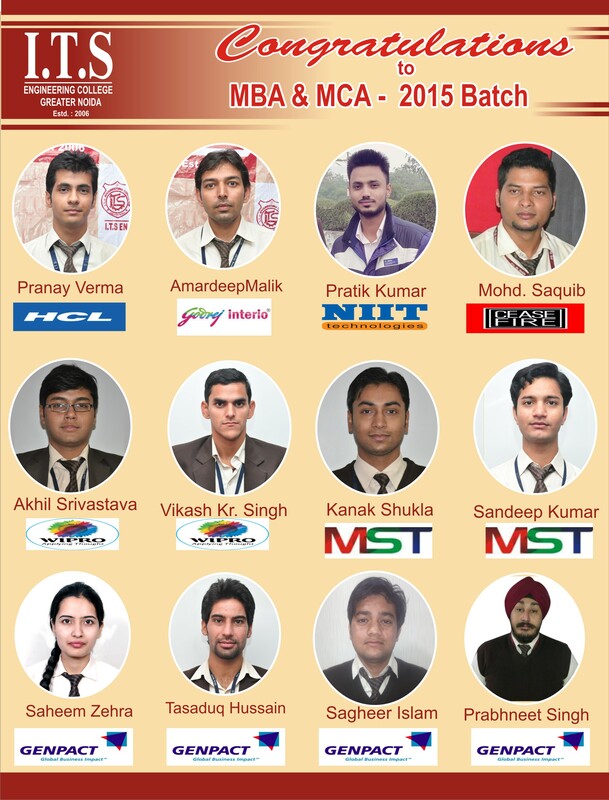 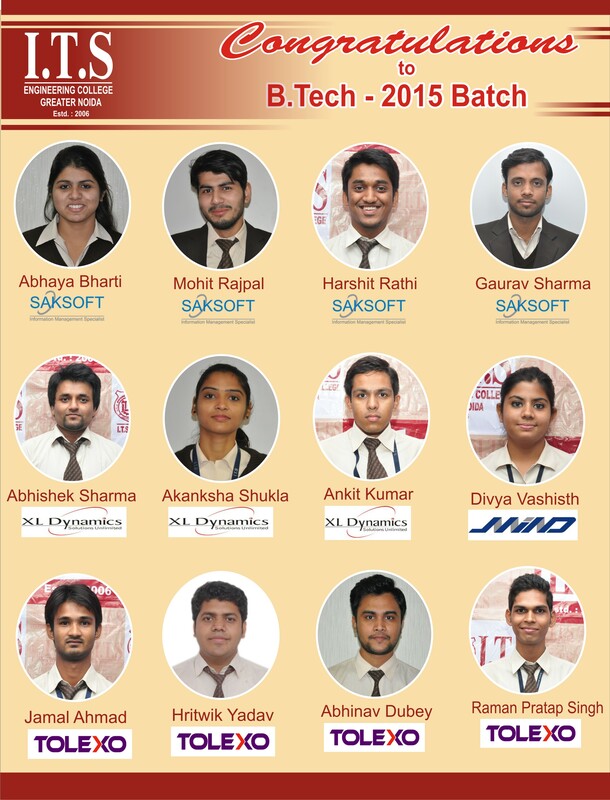 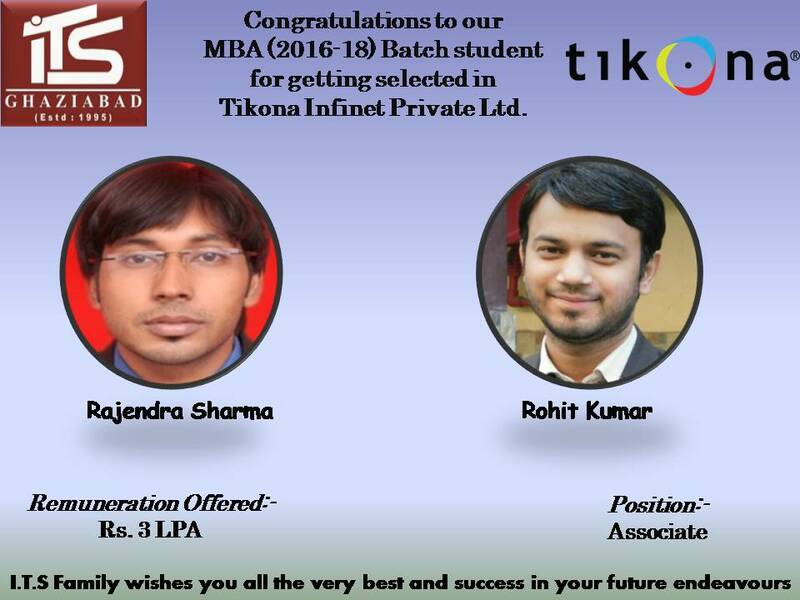 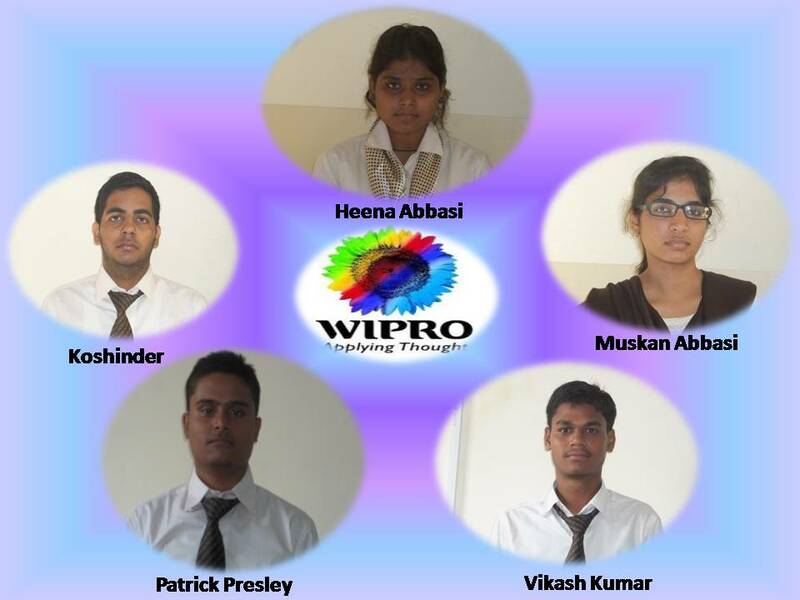 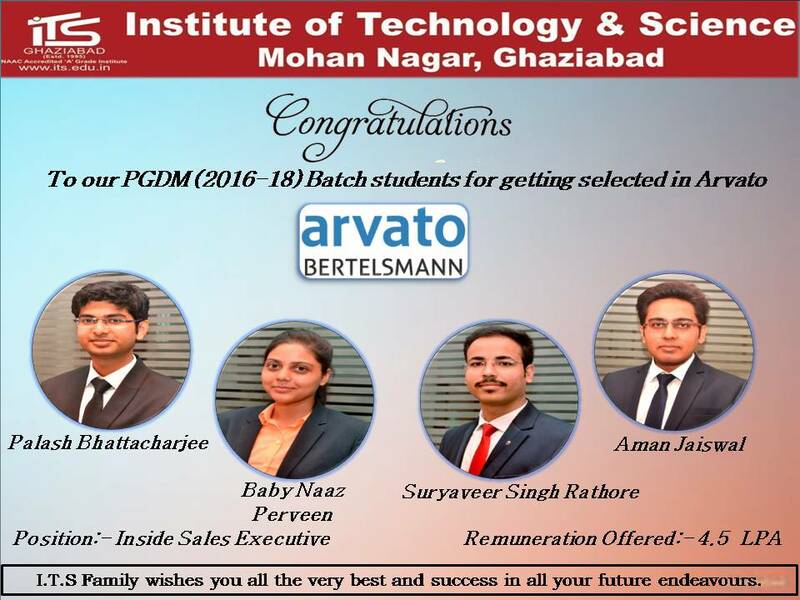 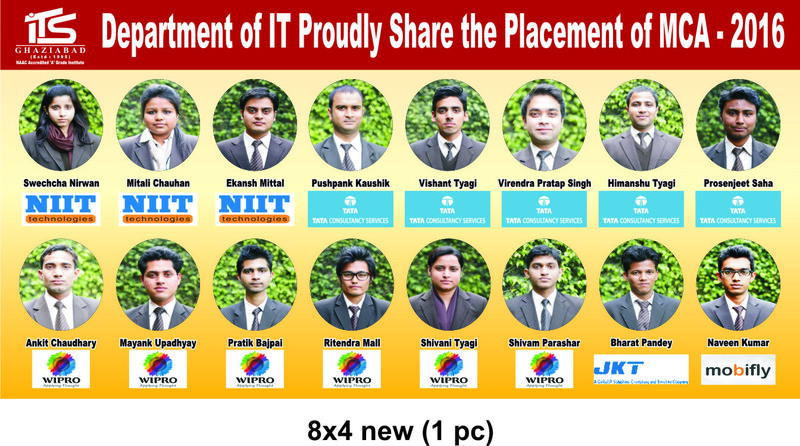 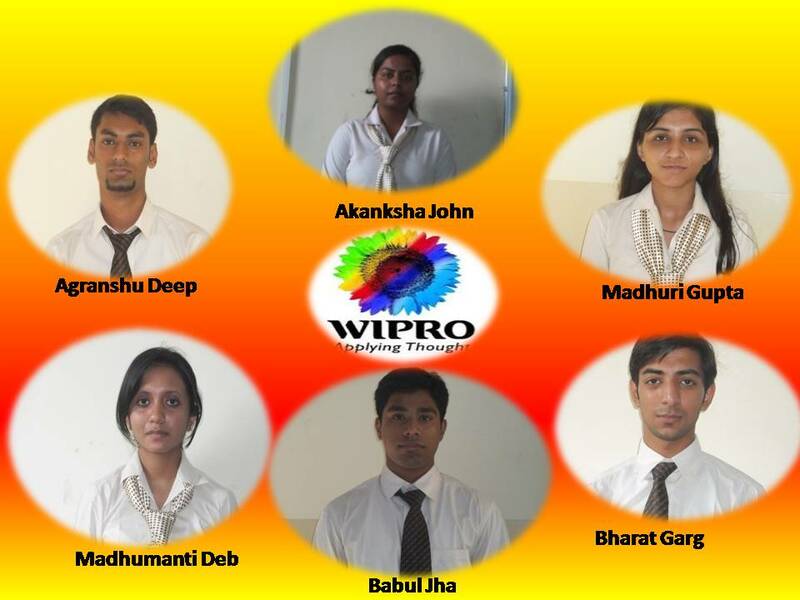 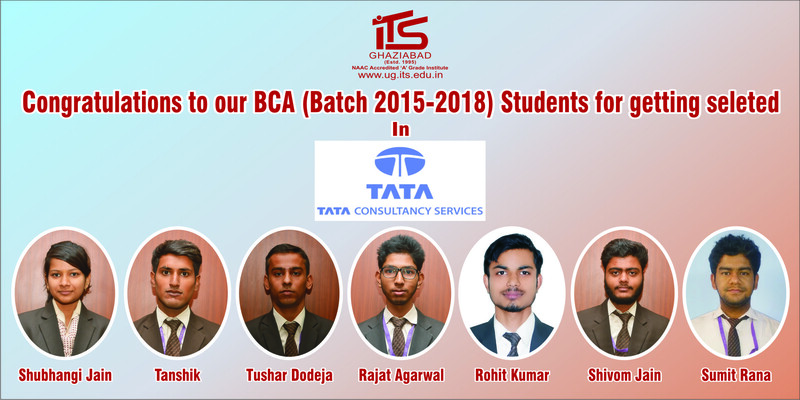 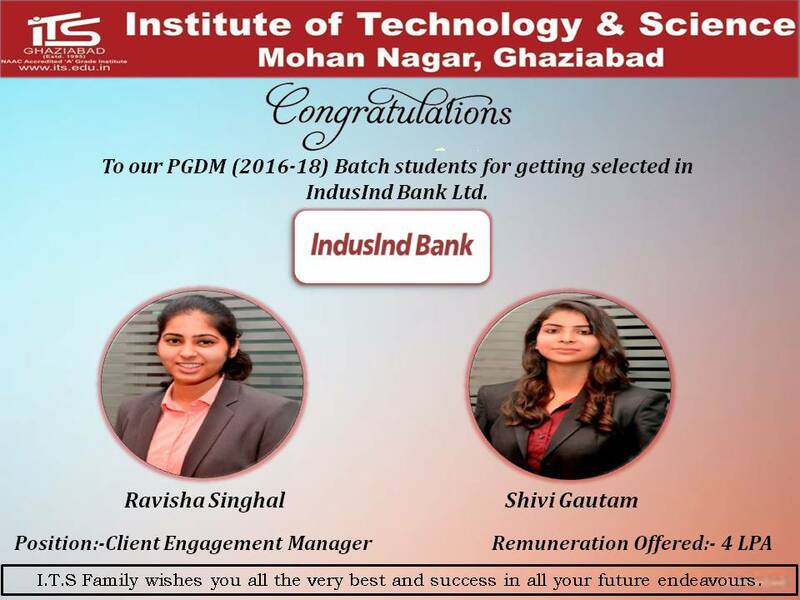 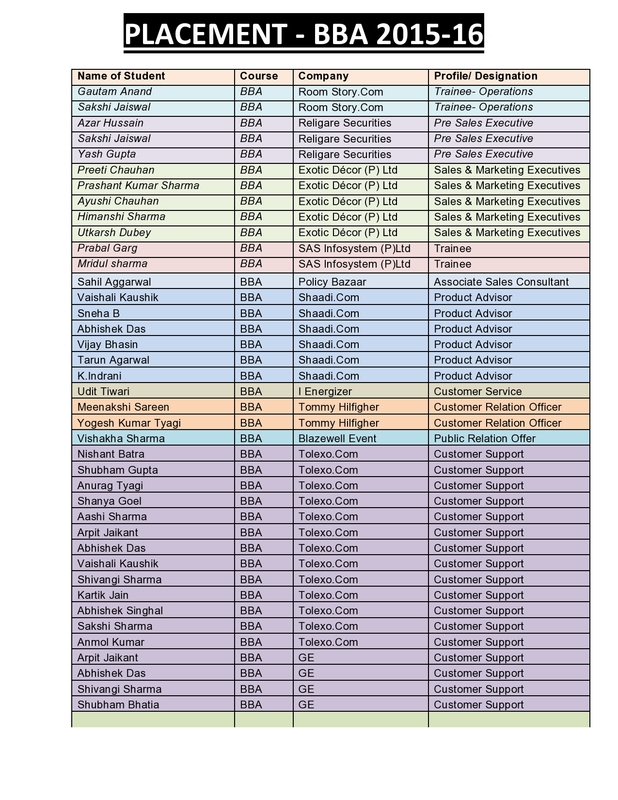 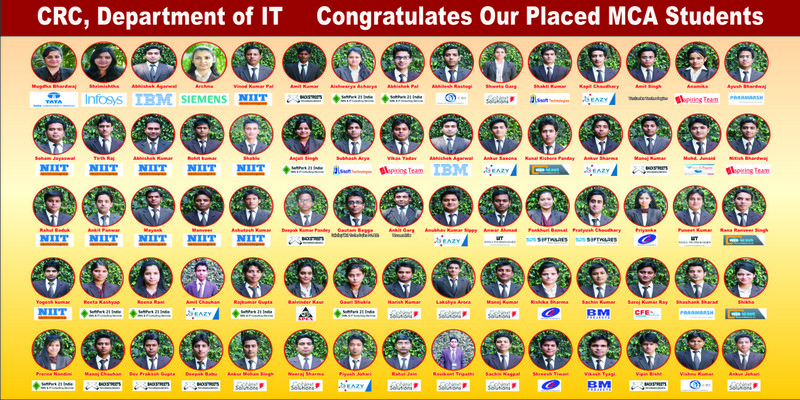 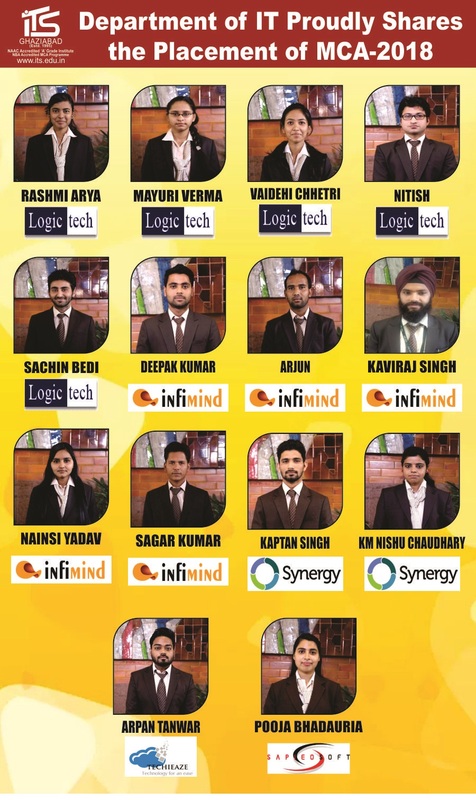 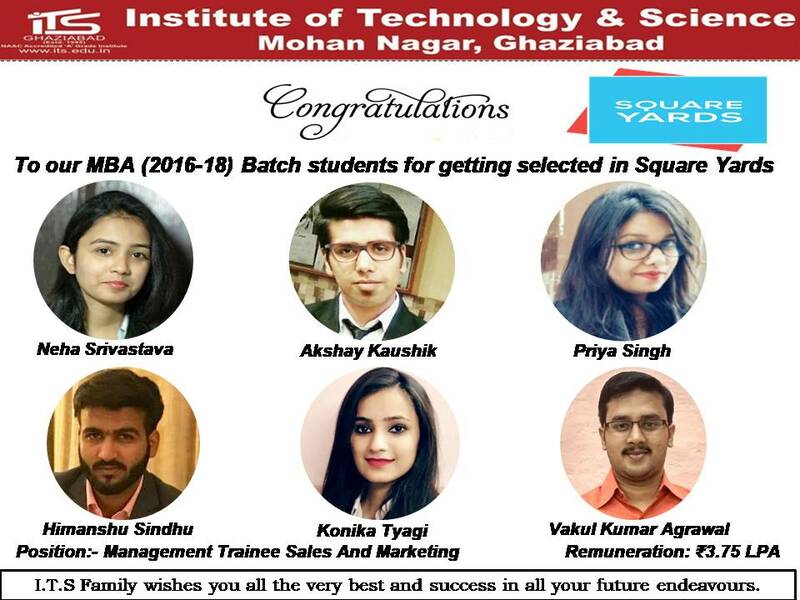 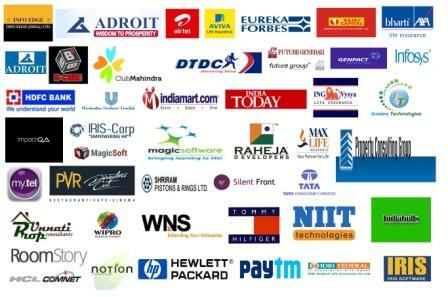 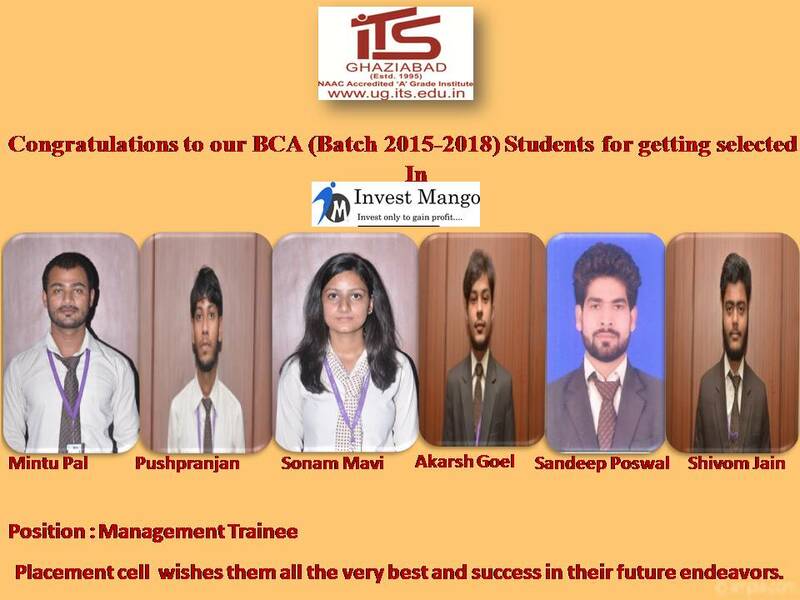 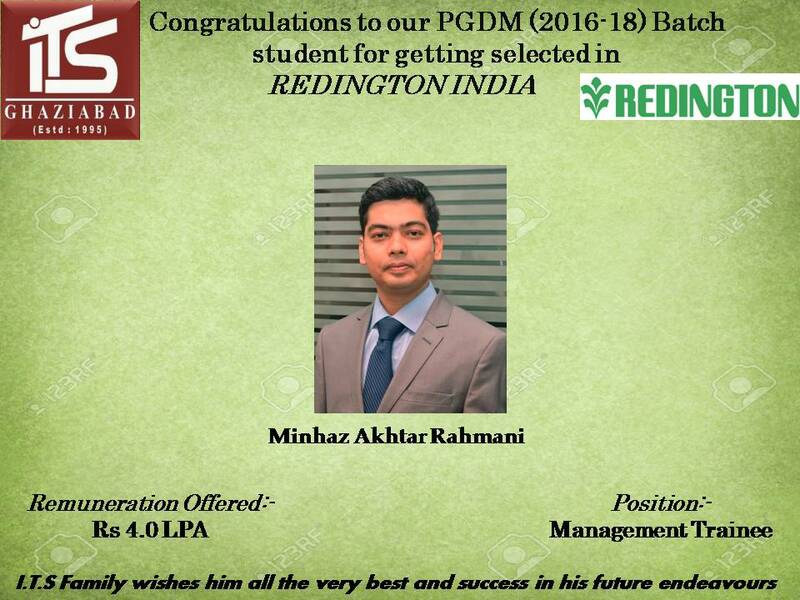 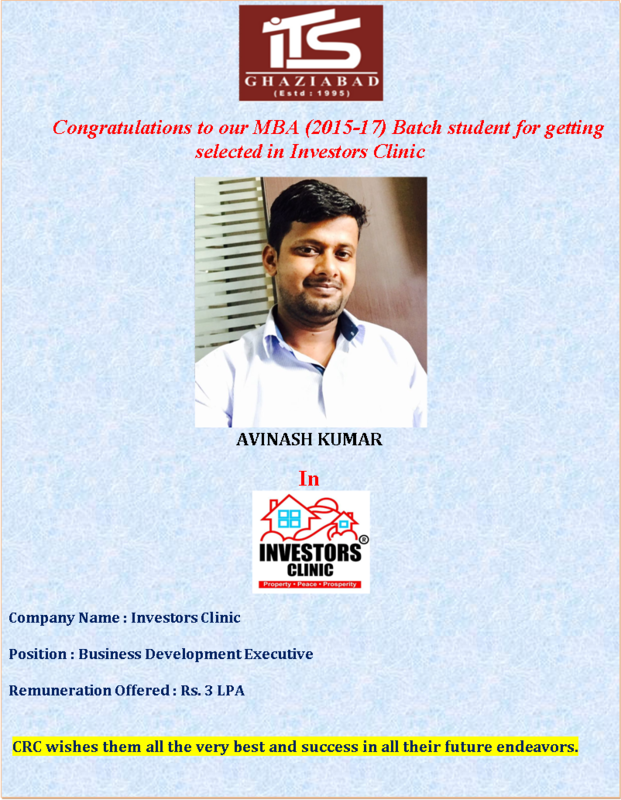 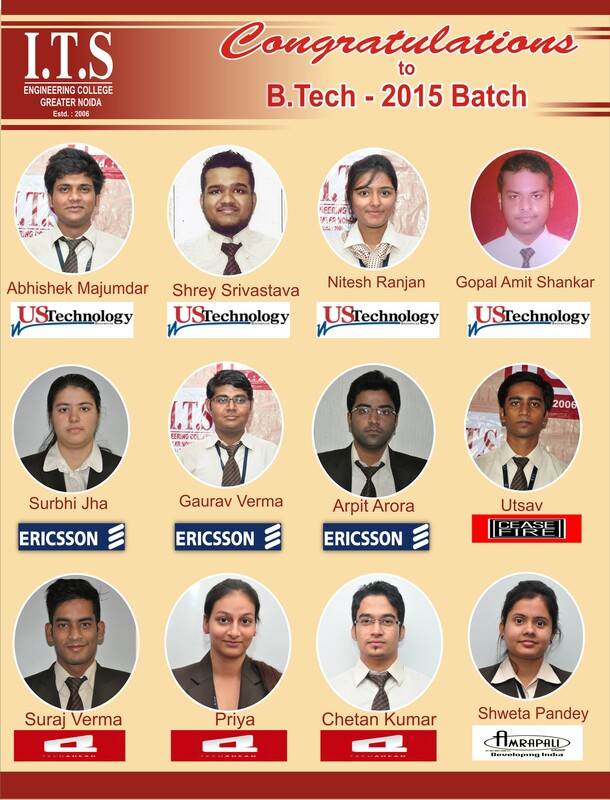 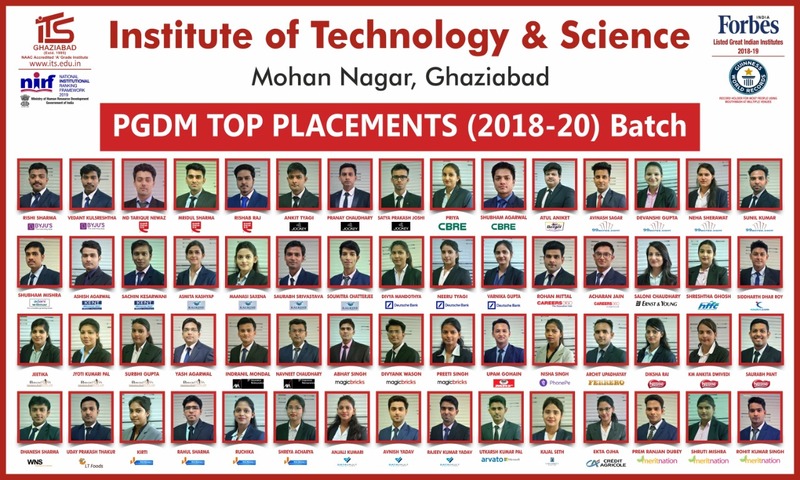 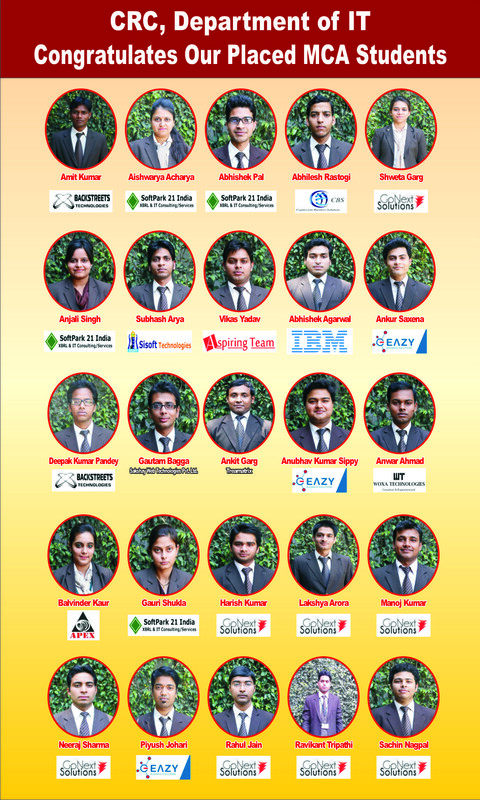 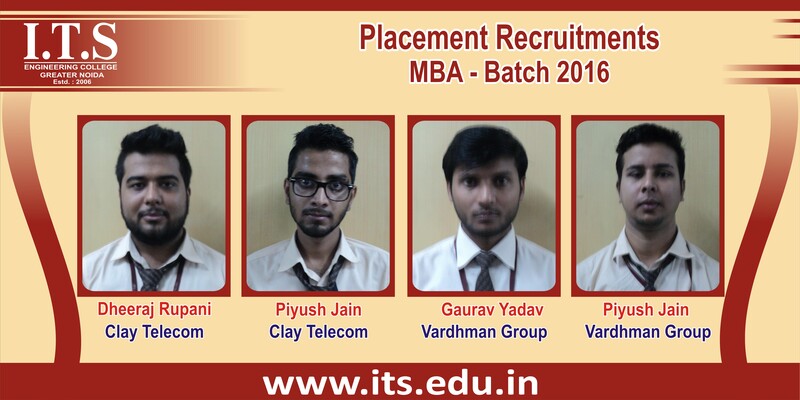 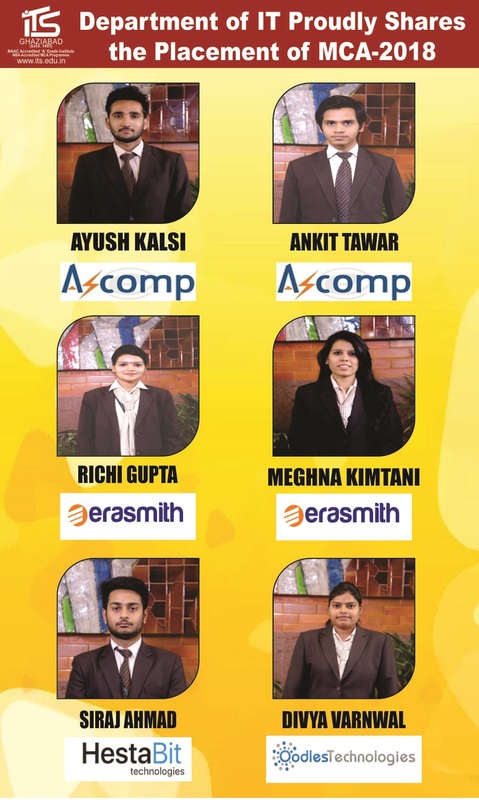 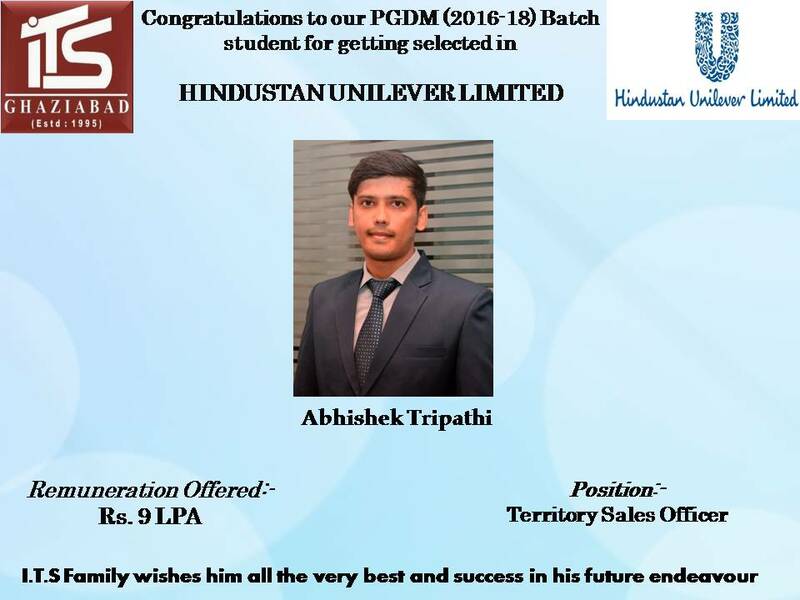 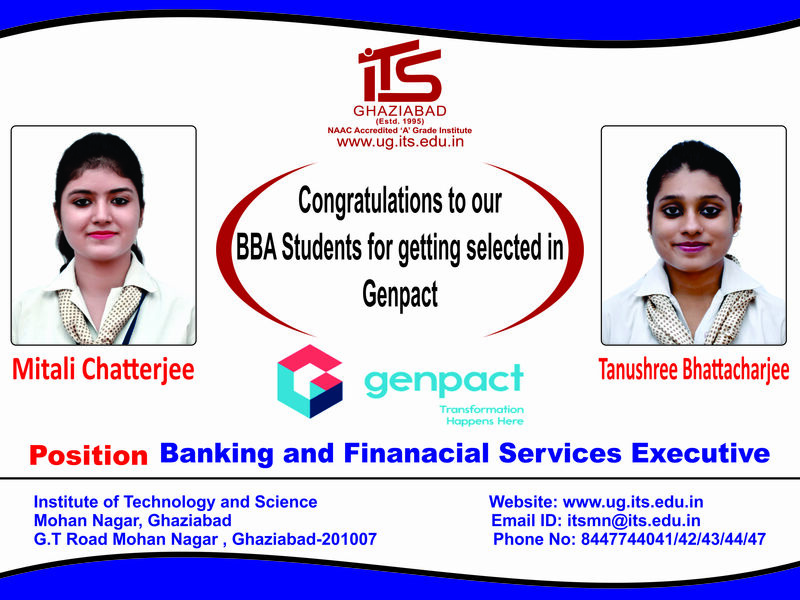 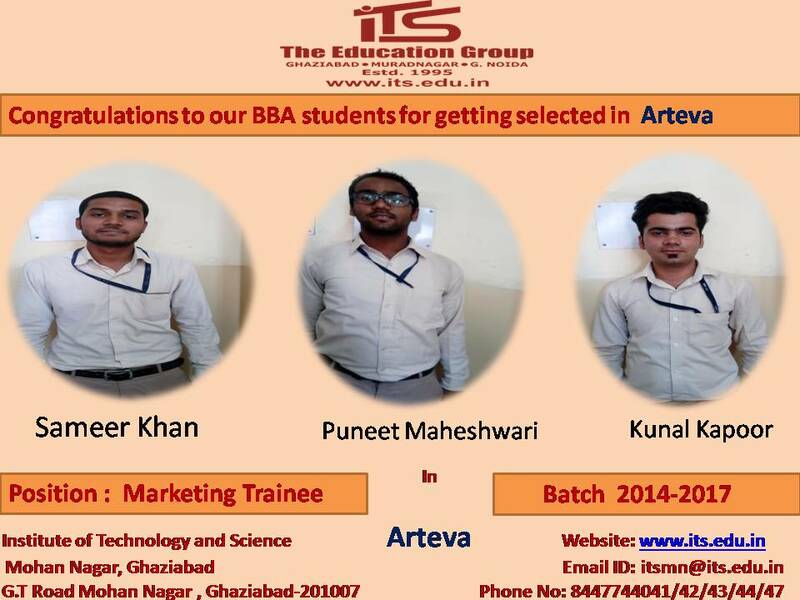 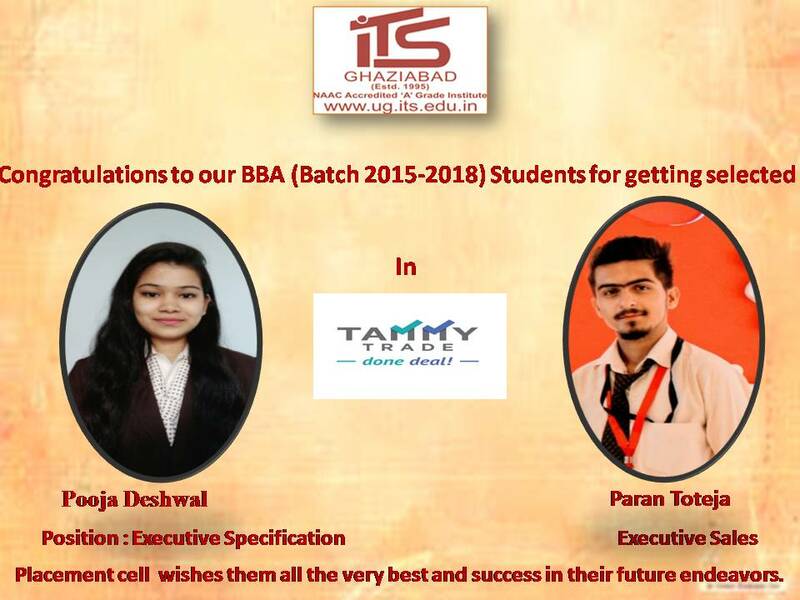 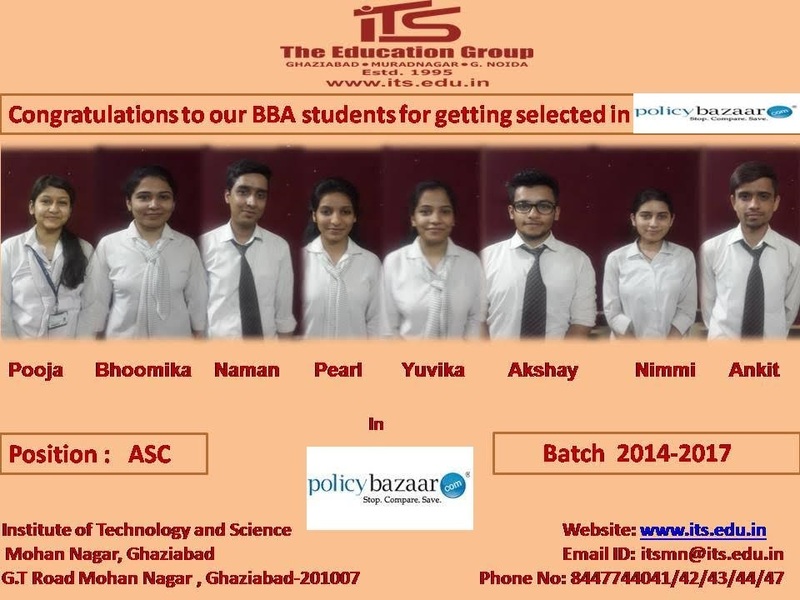 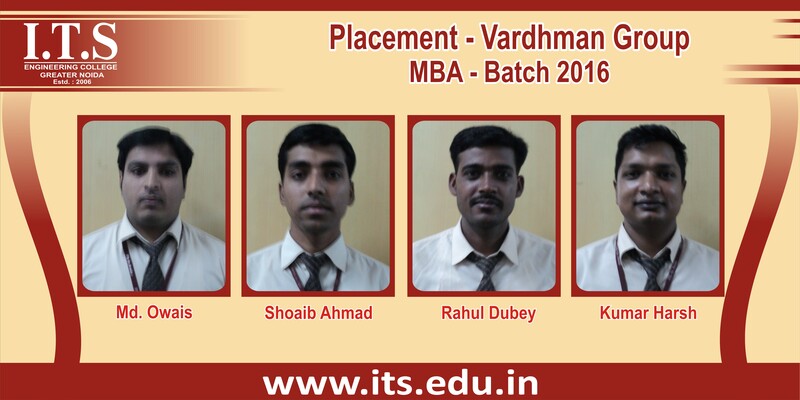 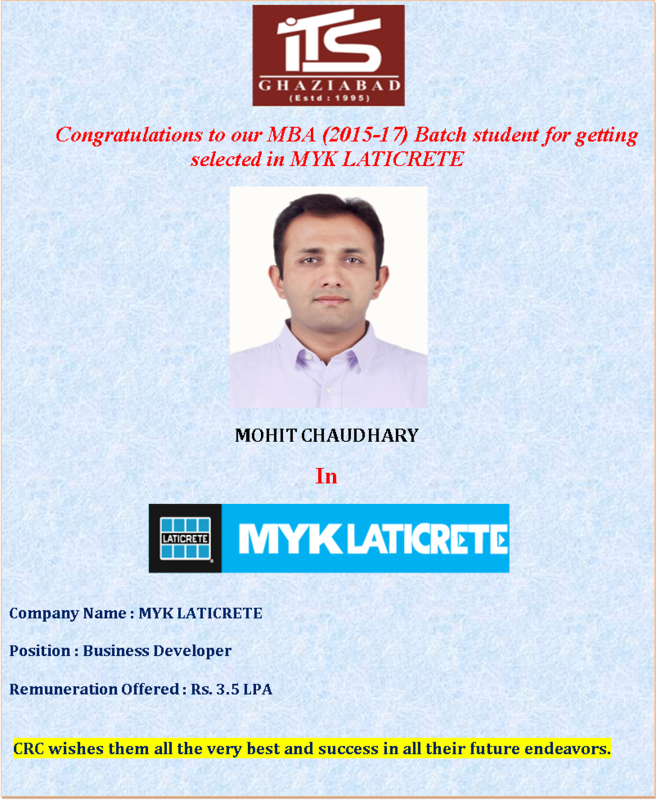 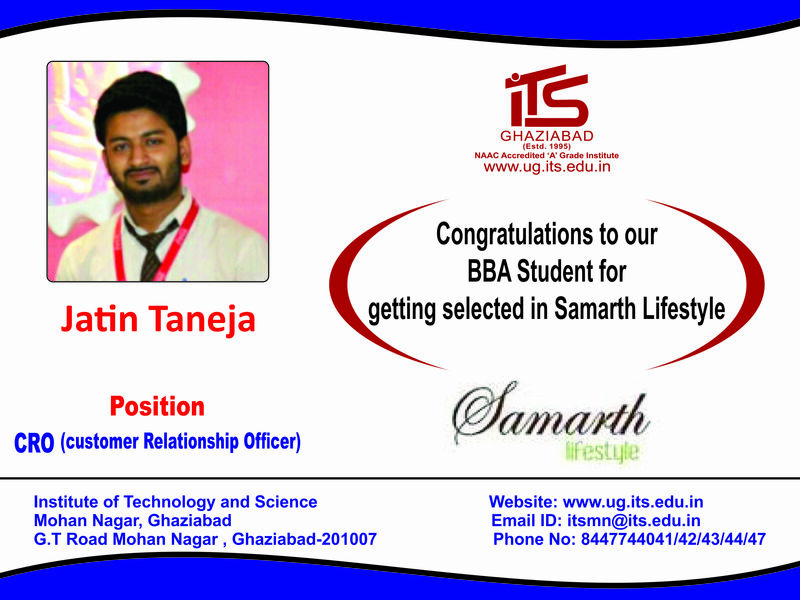 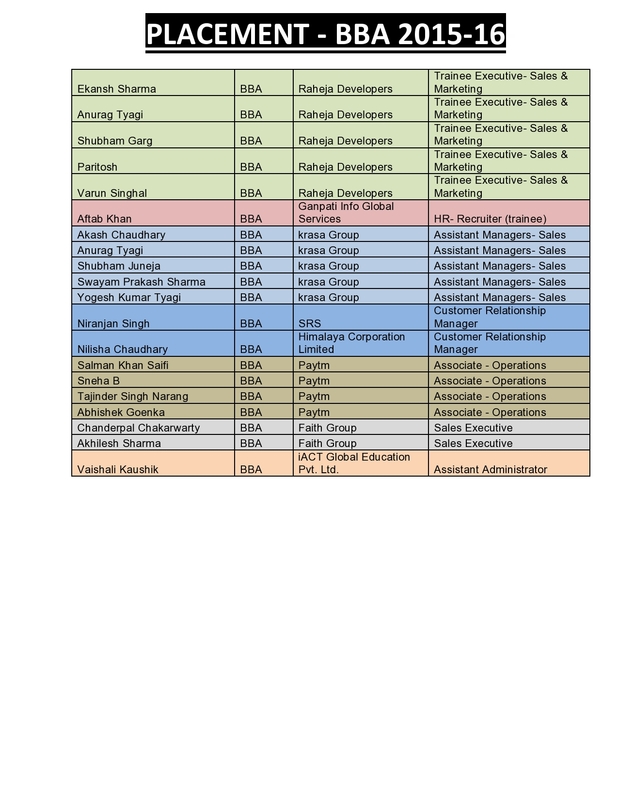 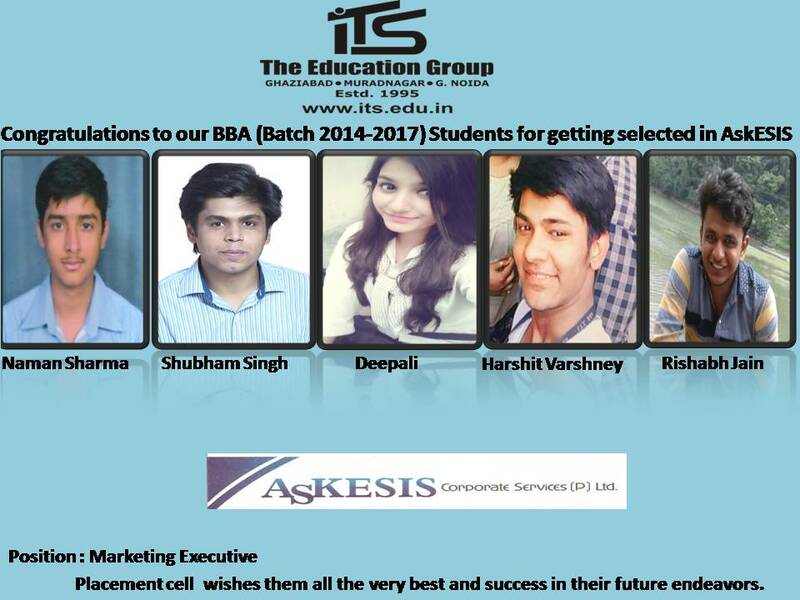 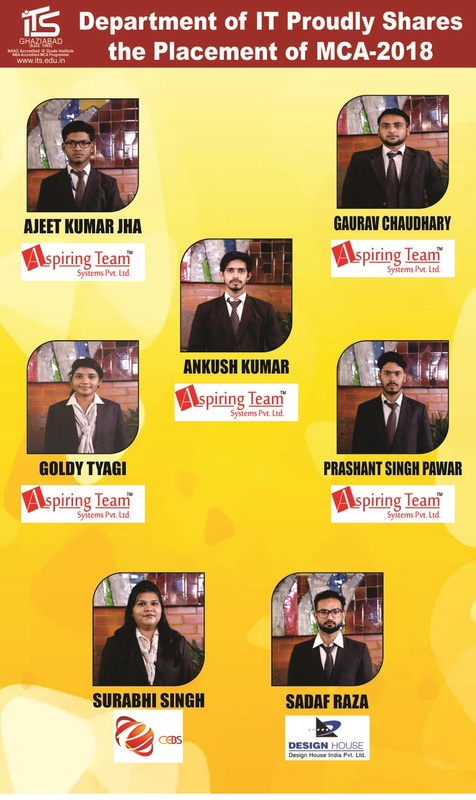 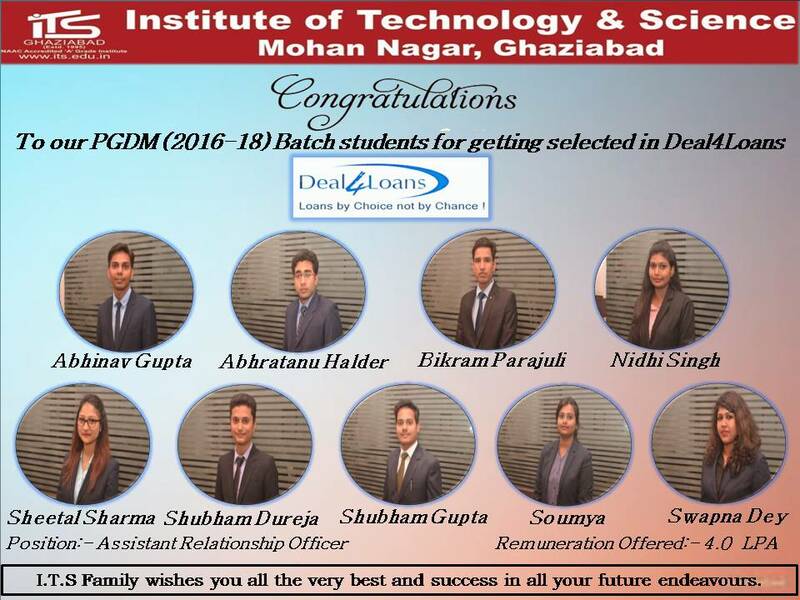 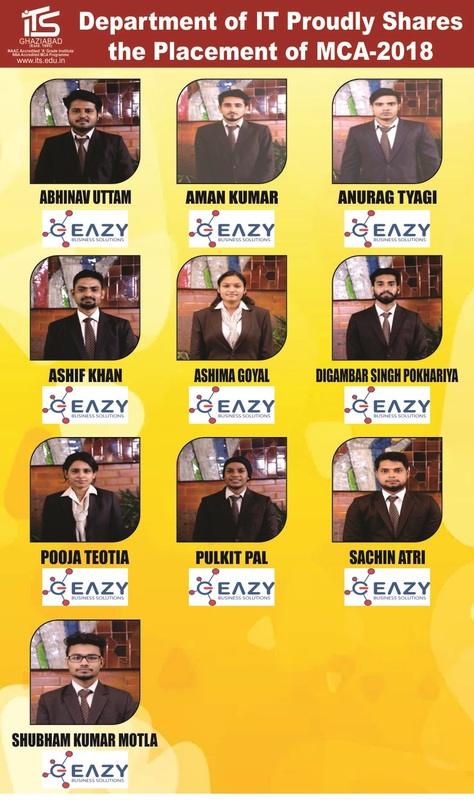 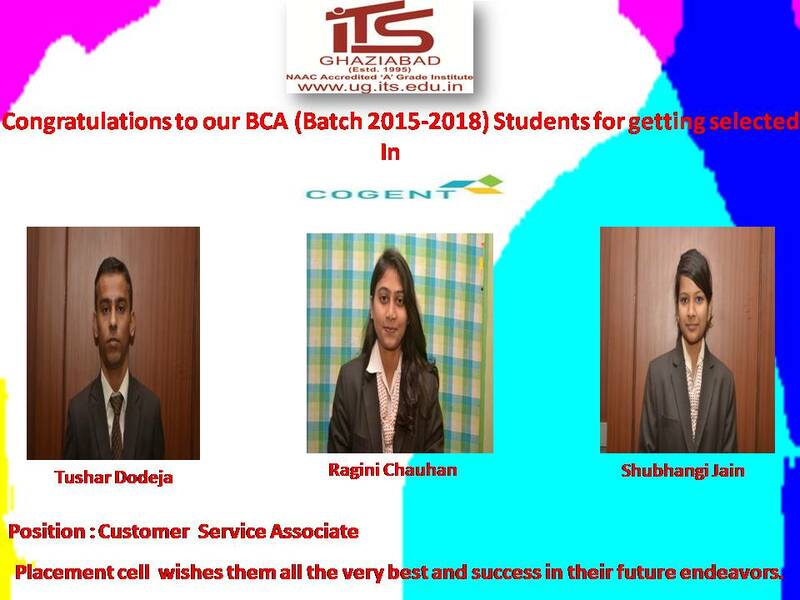 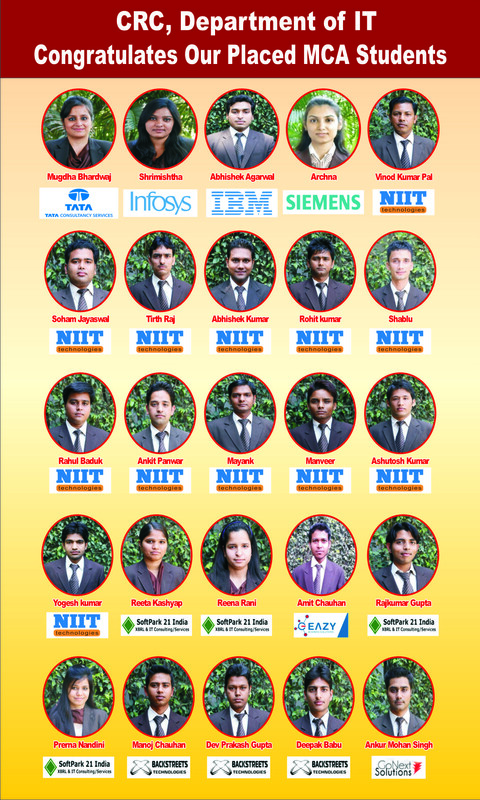 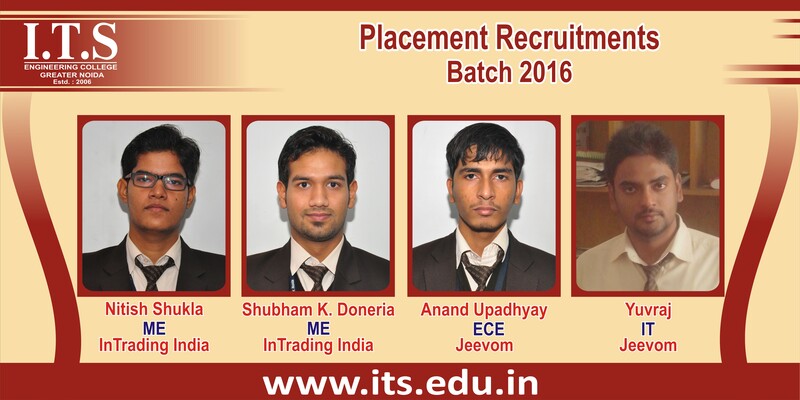 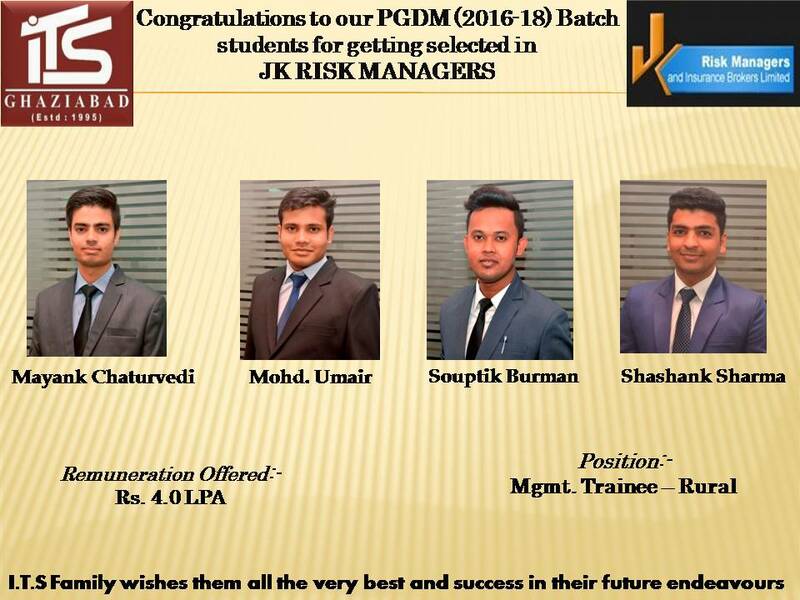 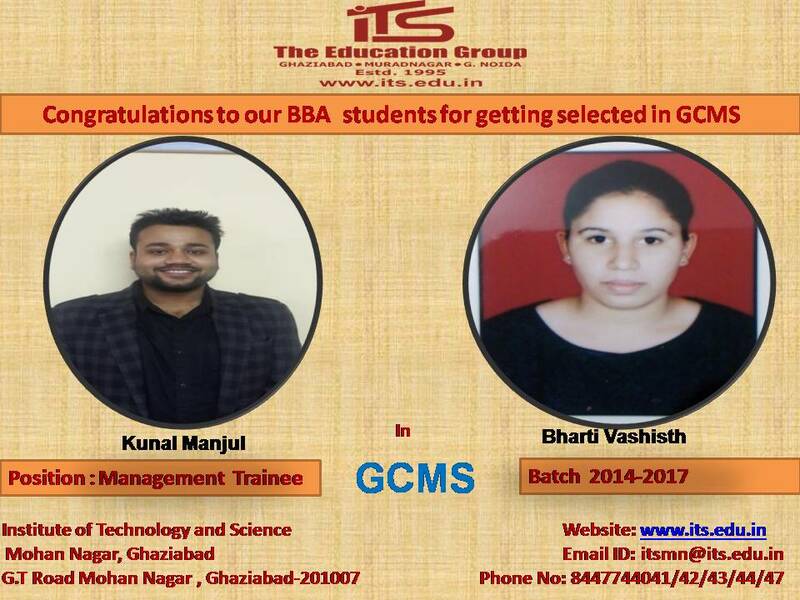 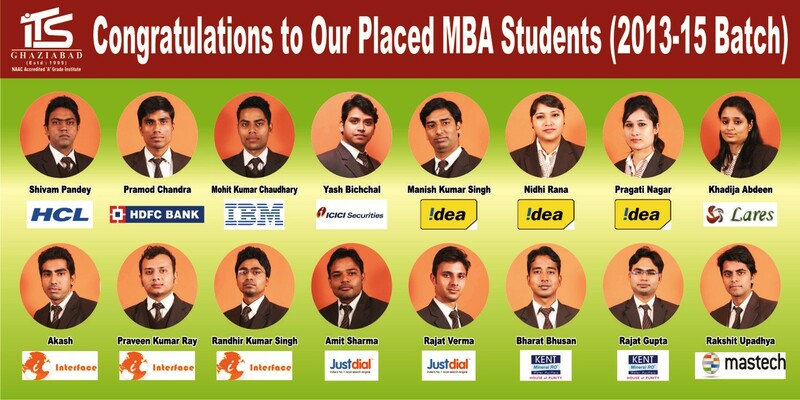 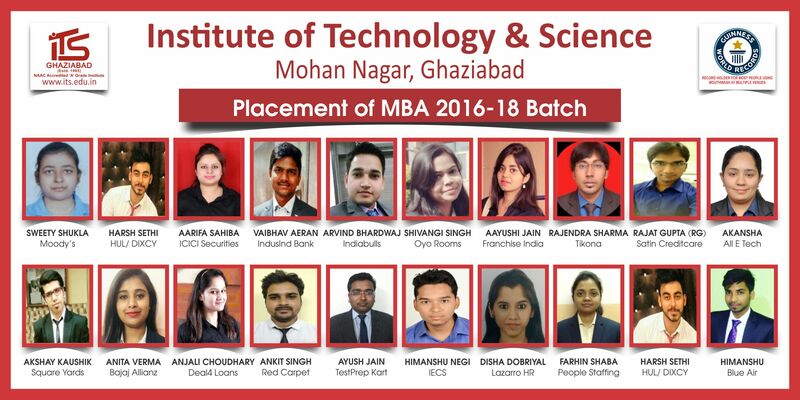 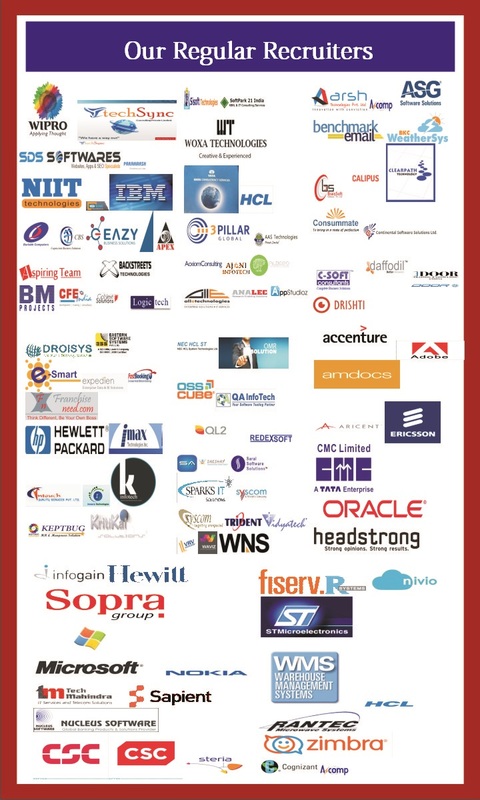 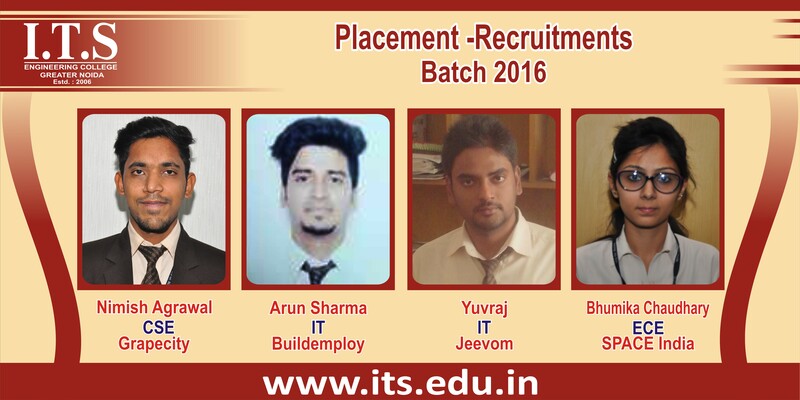 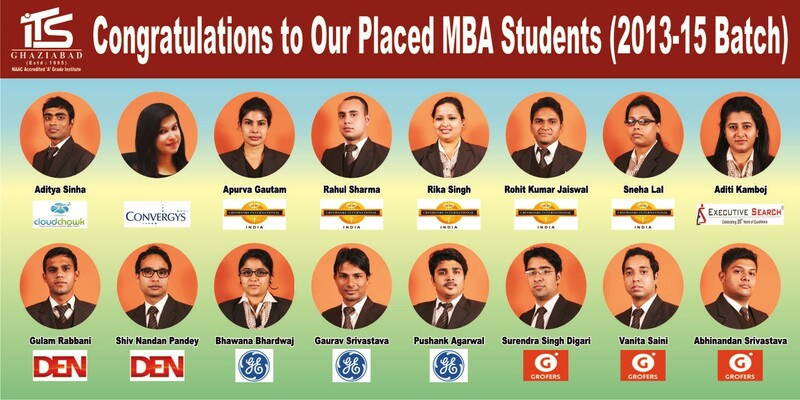 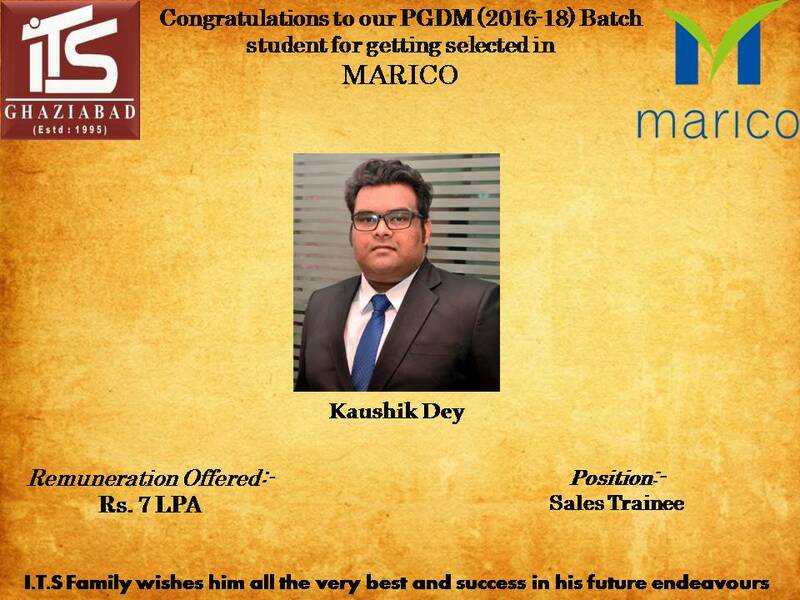 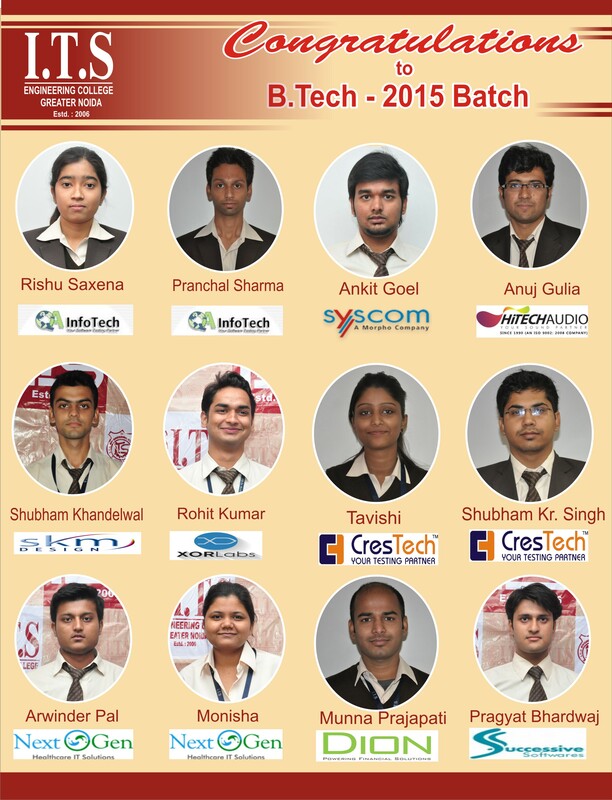 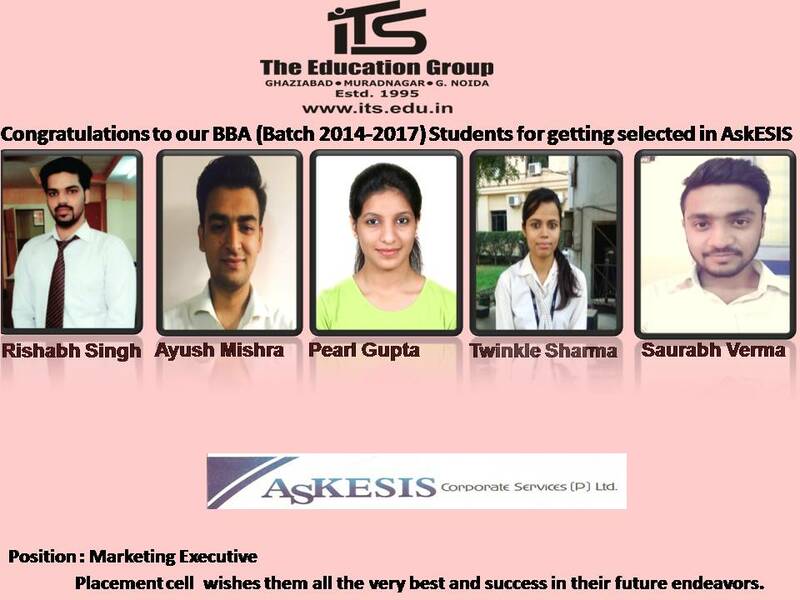 Our all Placed MBA Students. 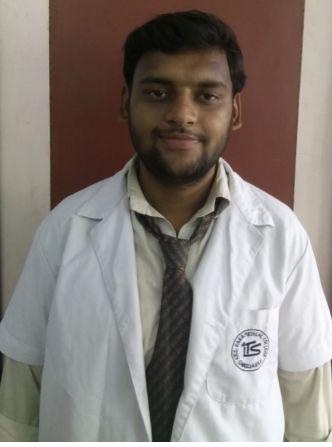 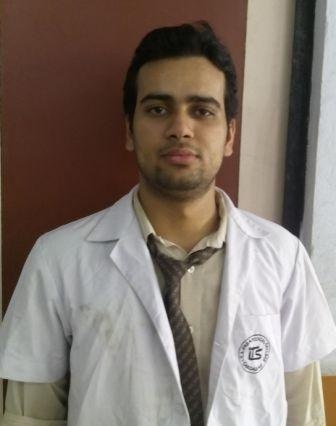 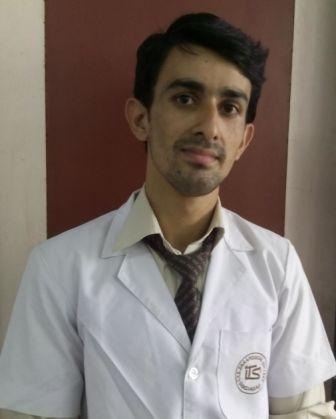 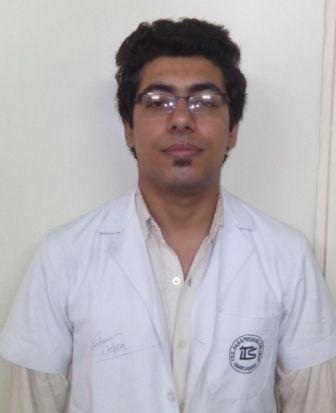 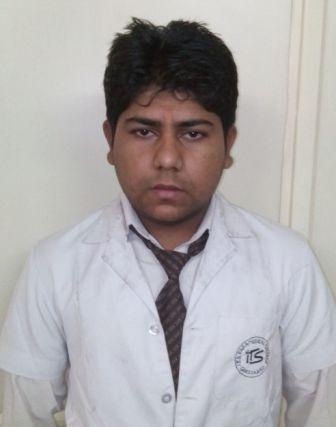 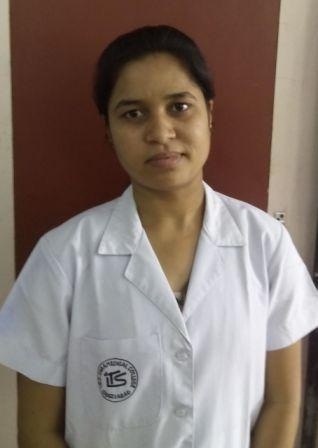 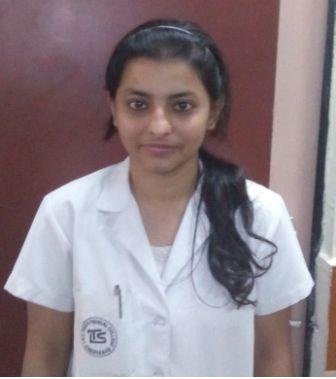 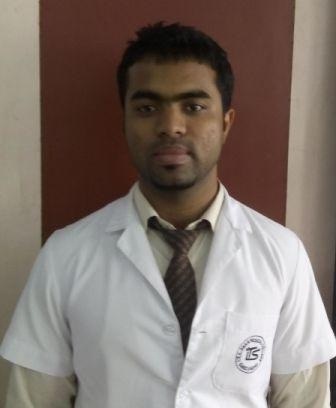 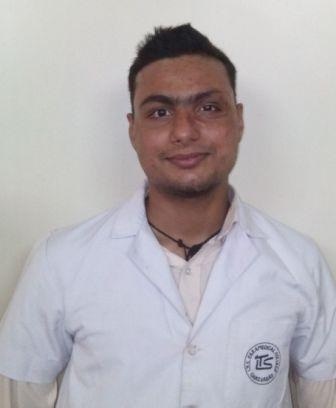 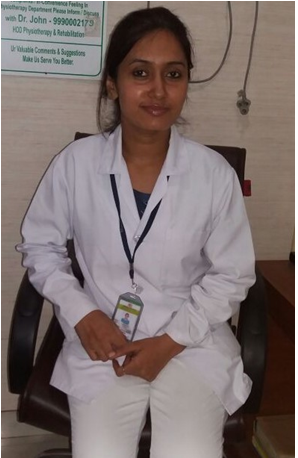 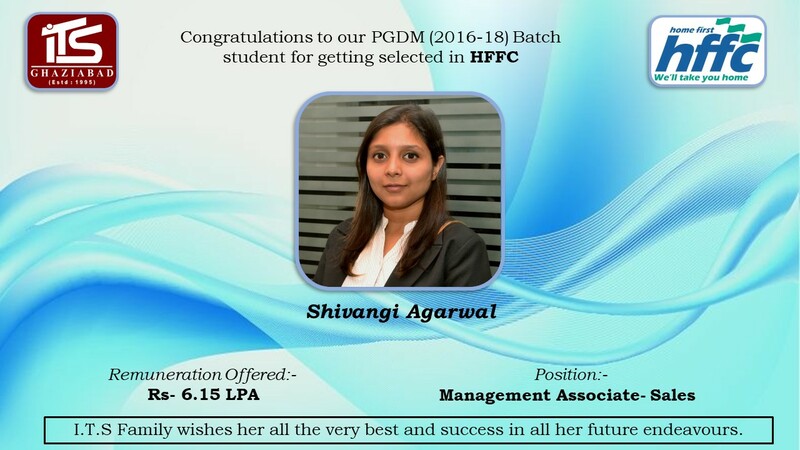 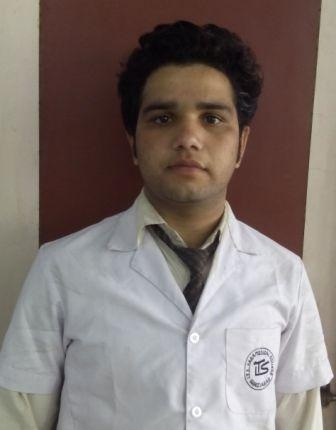 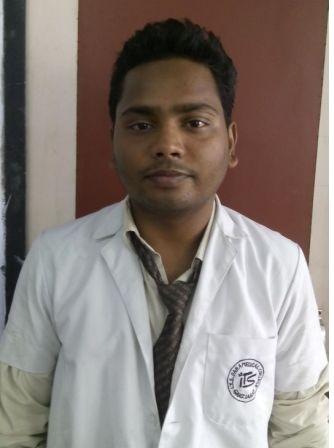 Congratulations Dr. Kvita for her placement as Physiotherapism at Blkapoor Hospital, New Delhi. 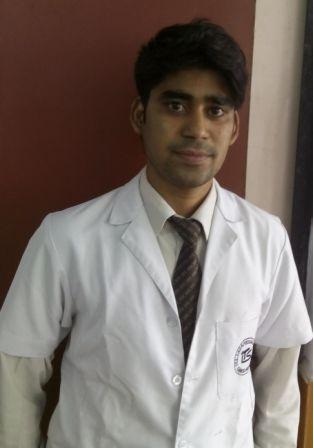 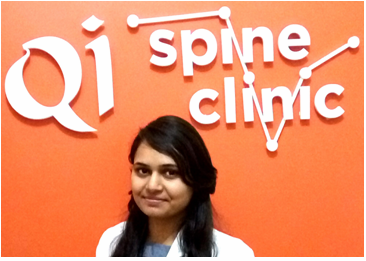 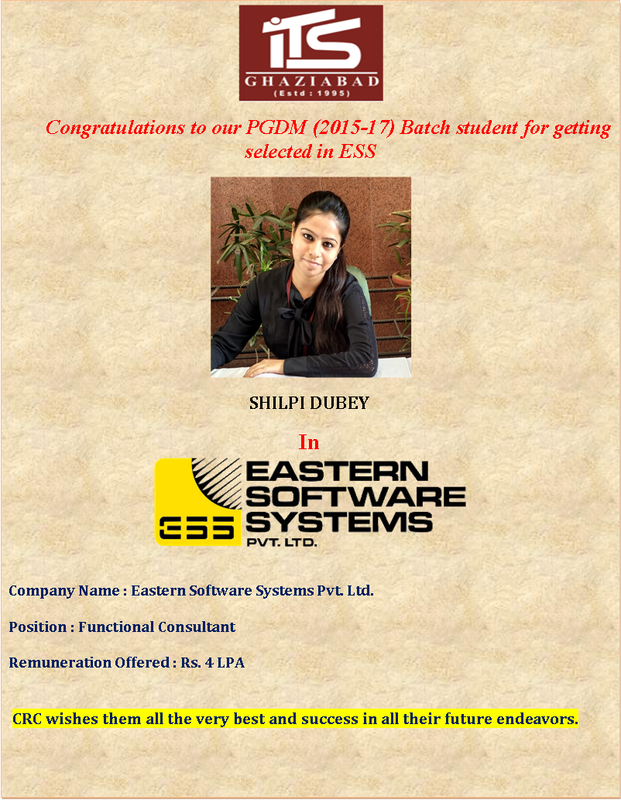 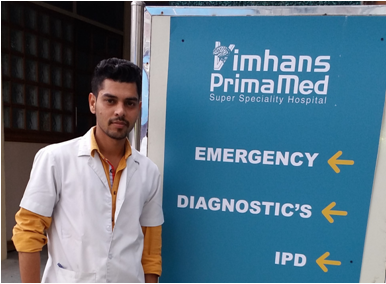 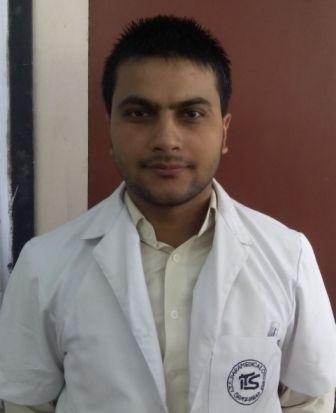 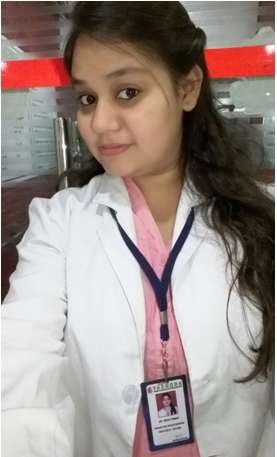 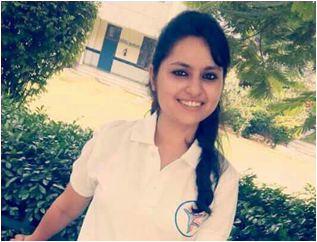 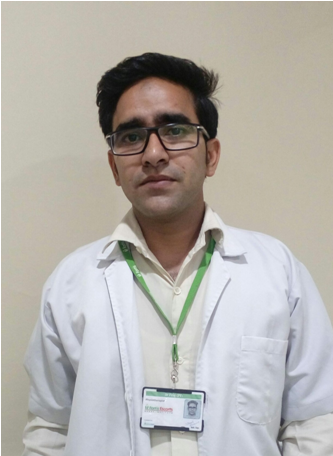 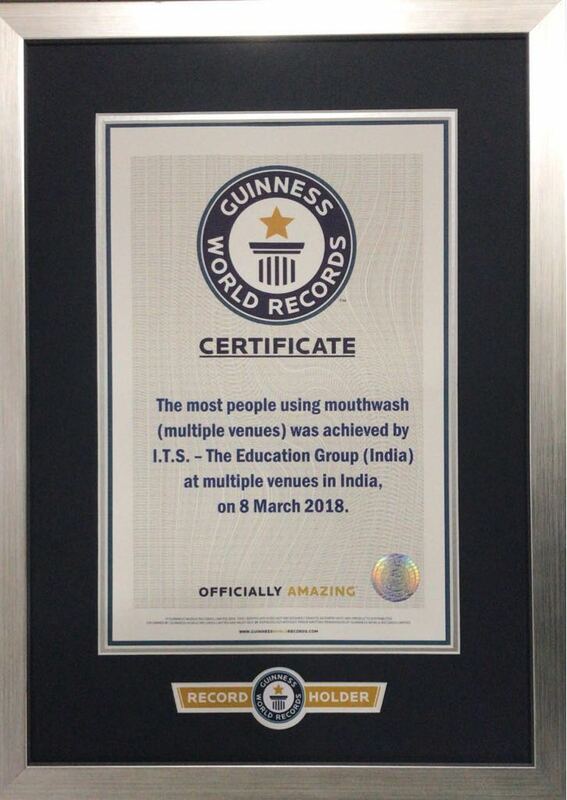 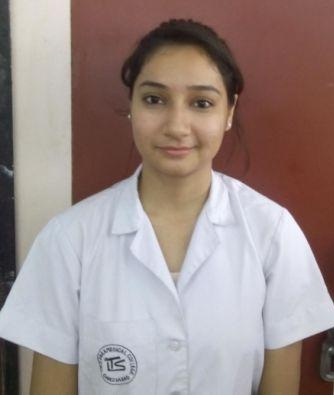 Congratulations Dr. Rubena for her placement as Physiotherapism at Soham Wellness Clinic, Gurgaon.